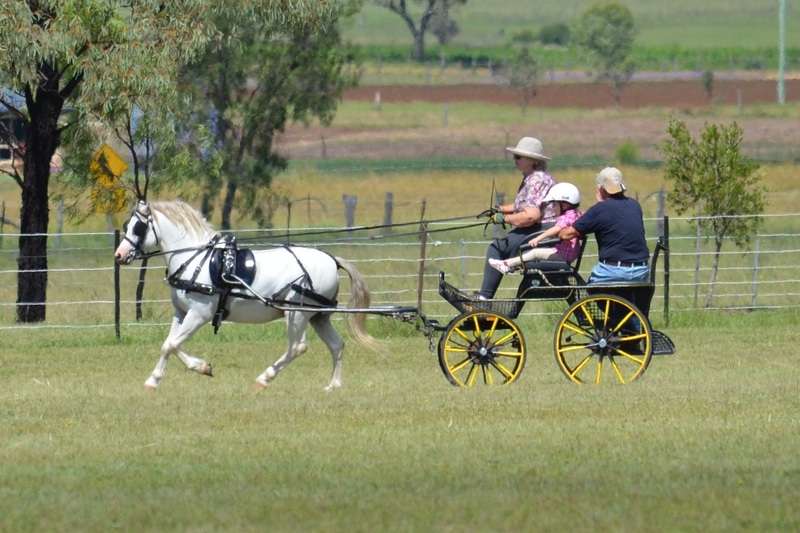 Competitive bunch? You bet ya sweet bippy they are! 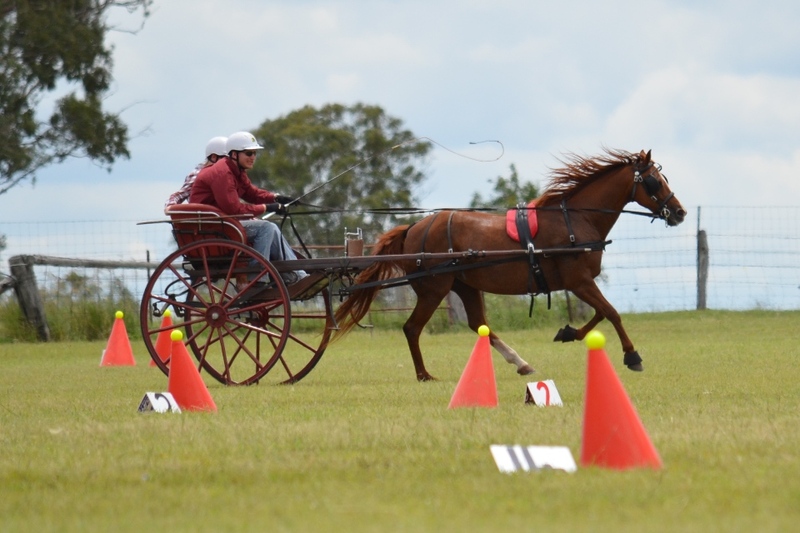 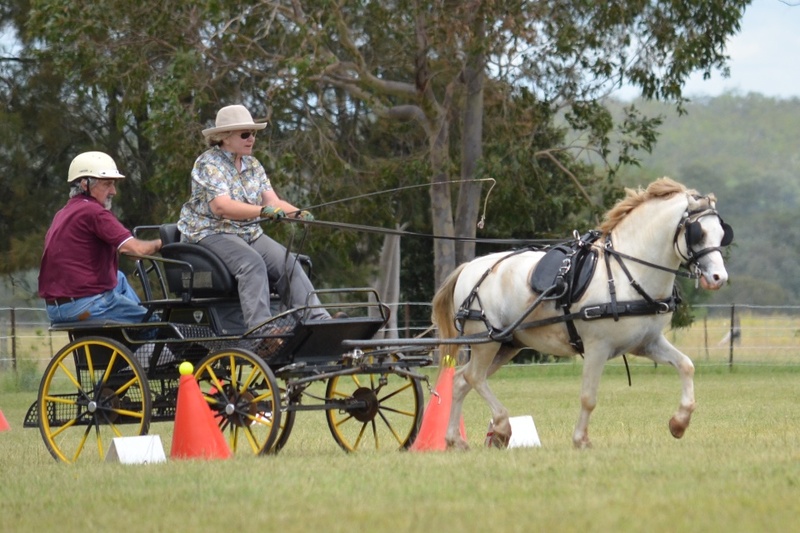 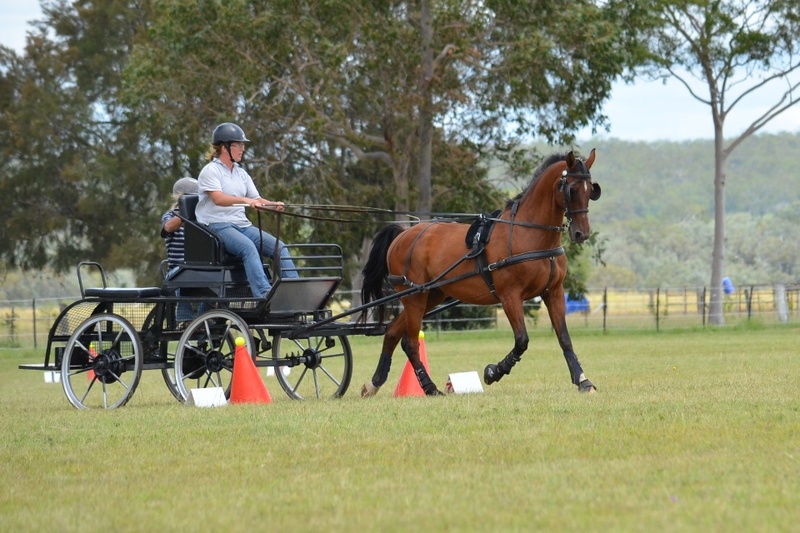 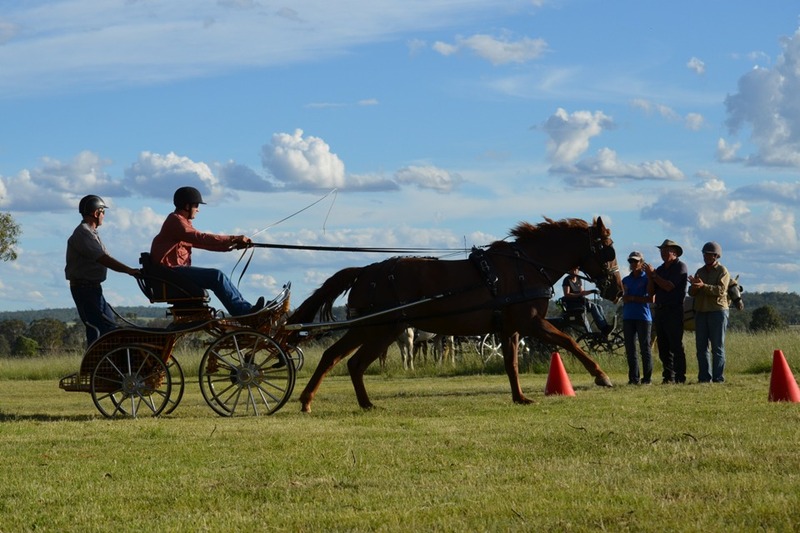 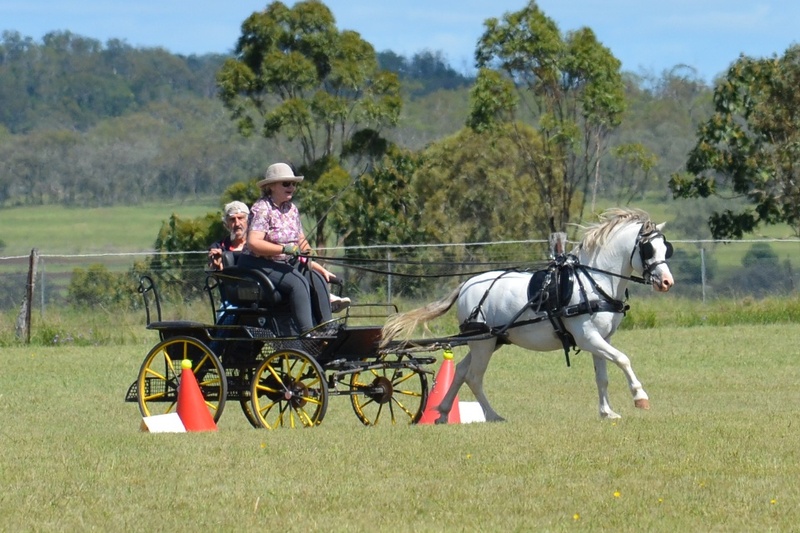 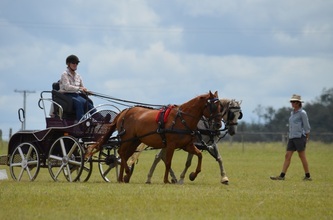 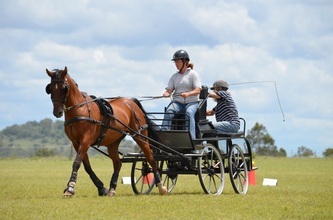 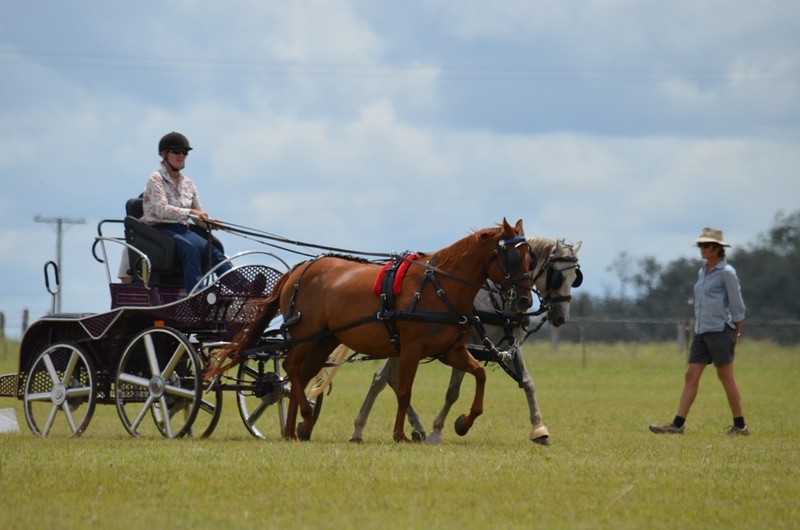 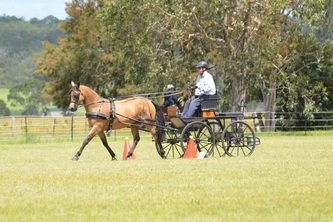 One by one, each person rose to their feet and admitted their addiction, some to speed, some to the finer parts of dressage, some to CDEs and some just carriage driving. 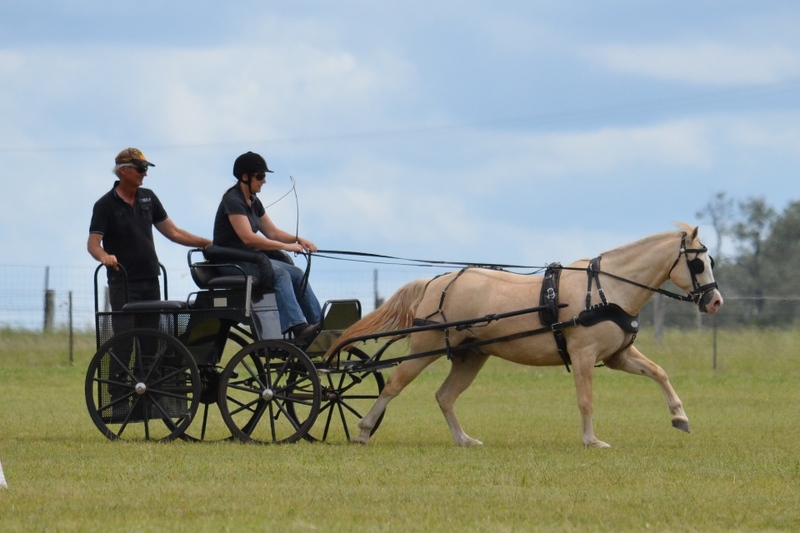 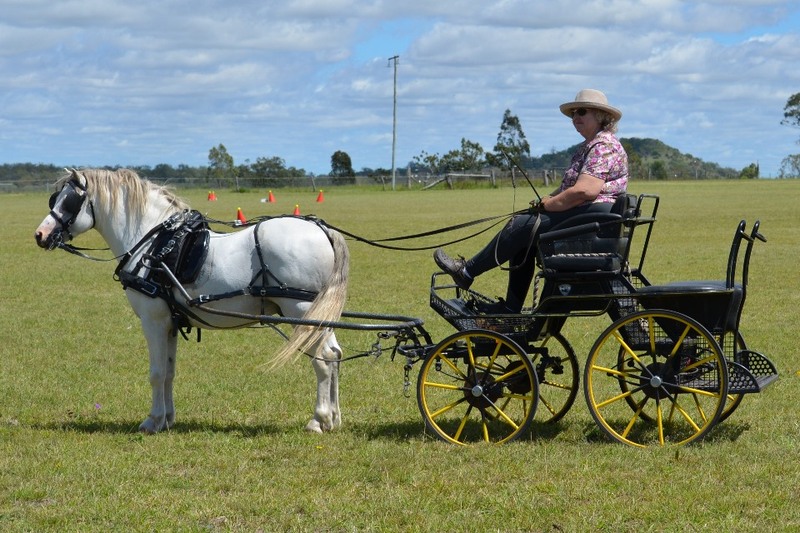 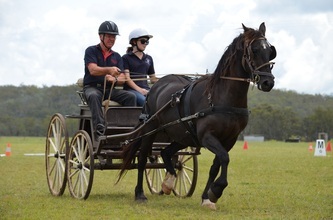 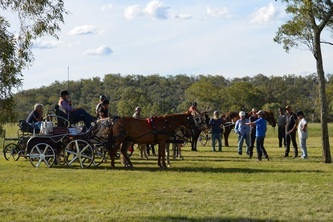 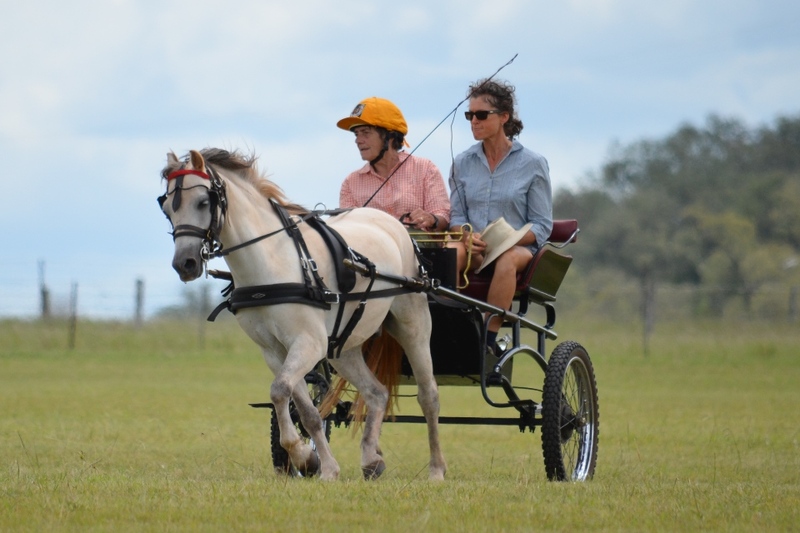 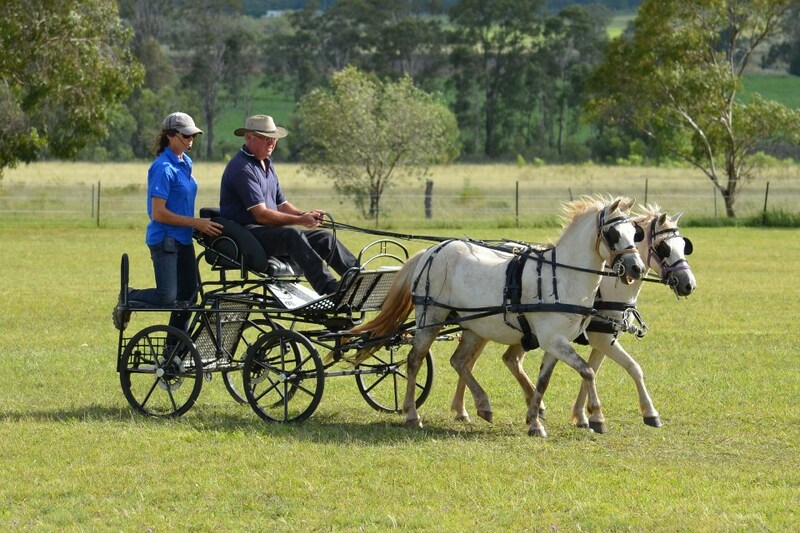 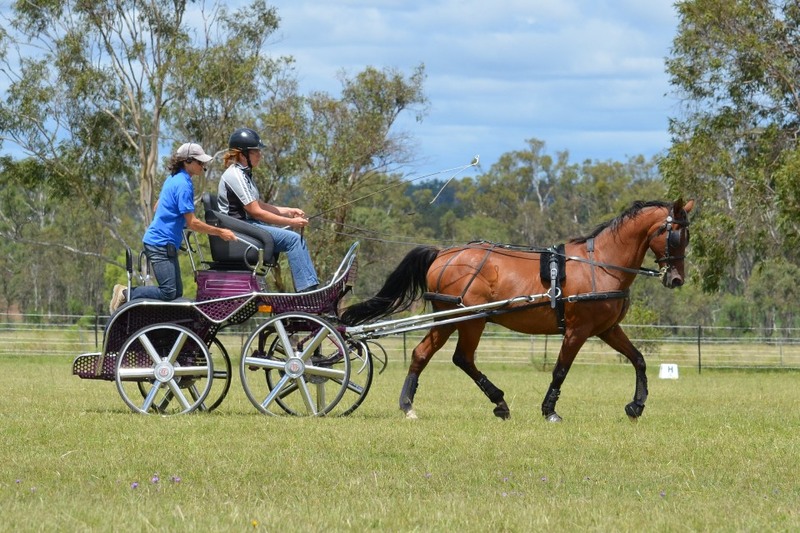 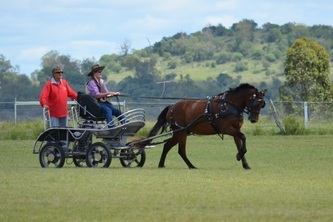 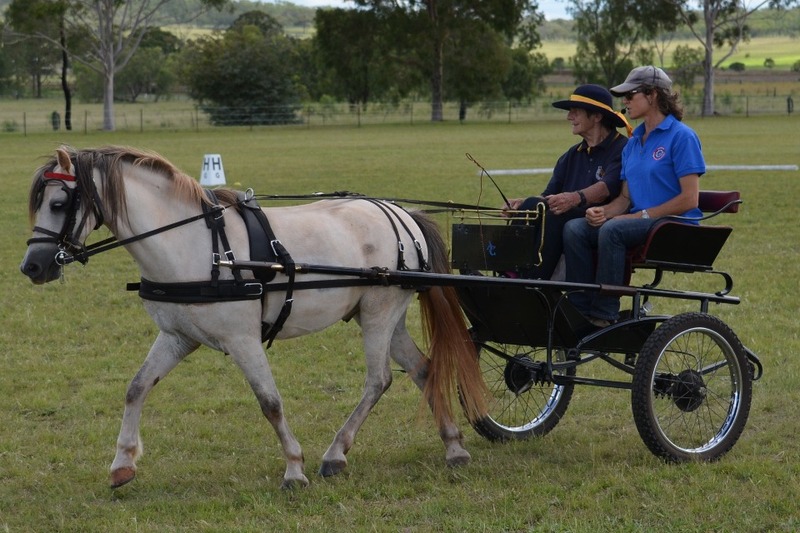 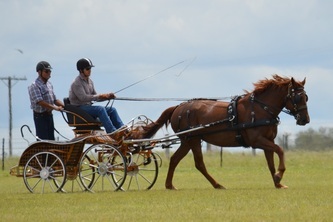 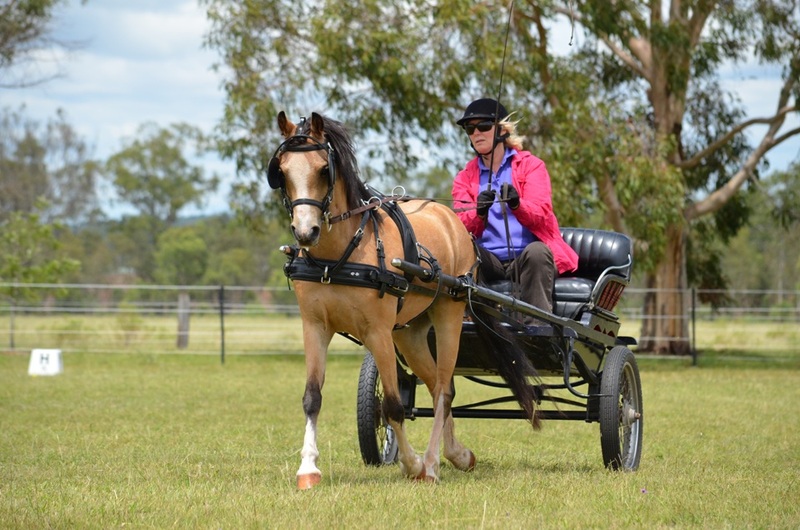 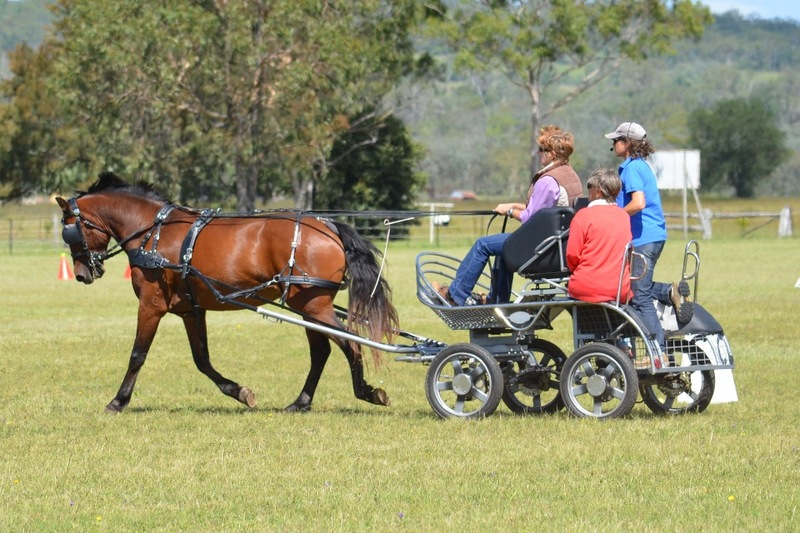 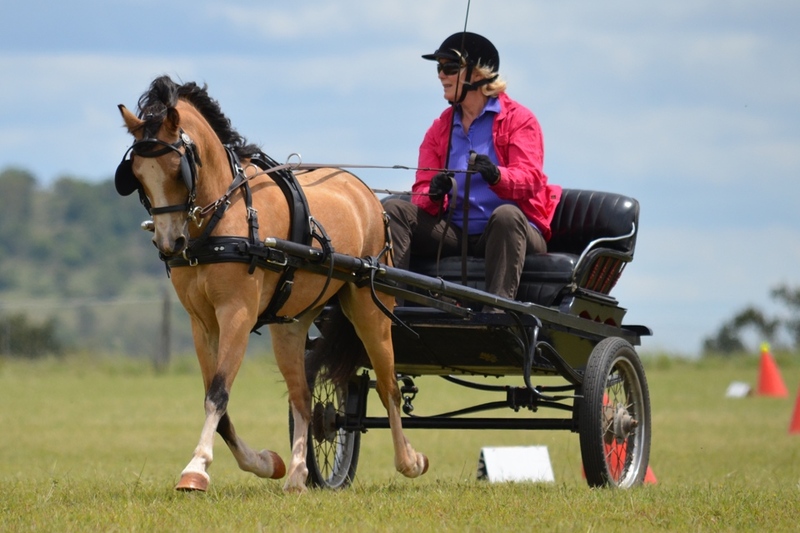 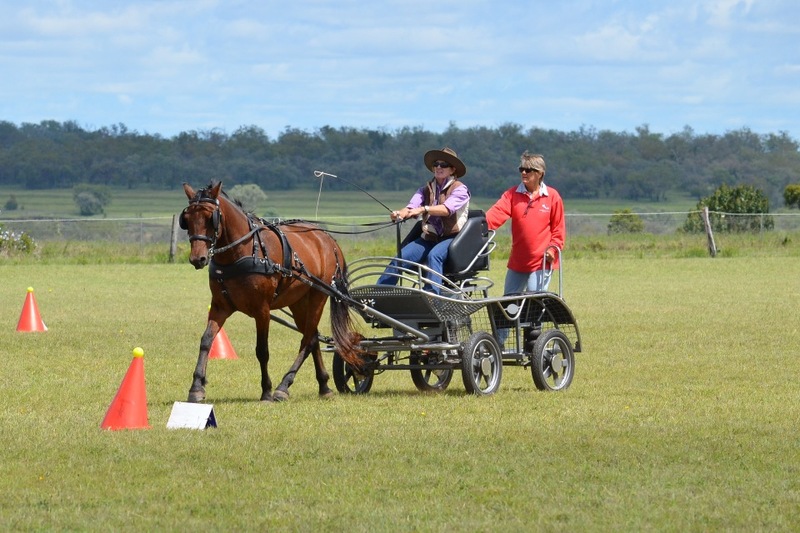 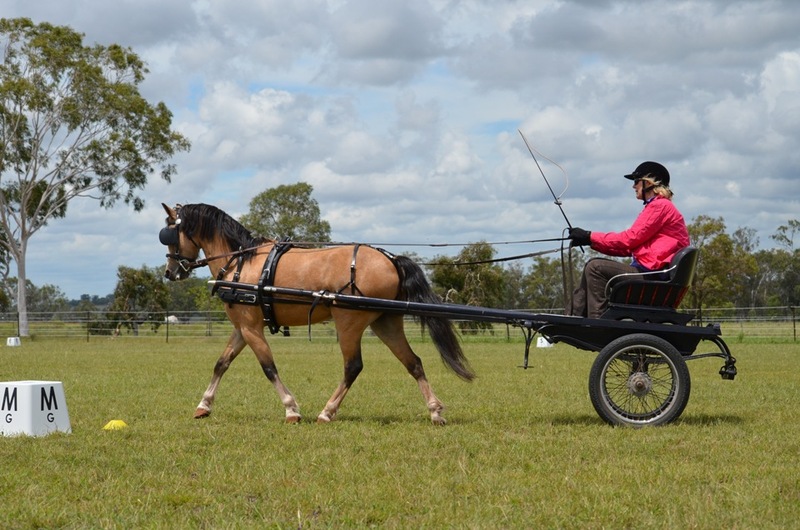 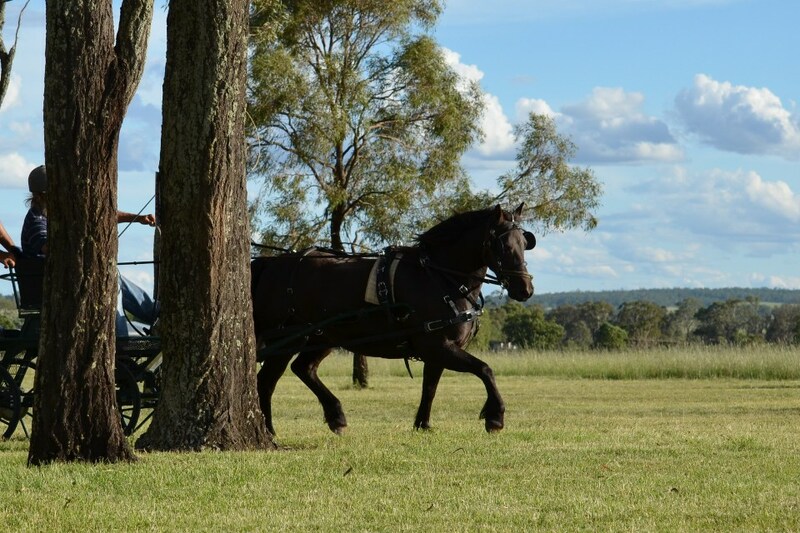 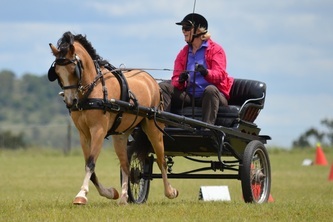 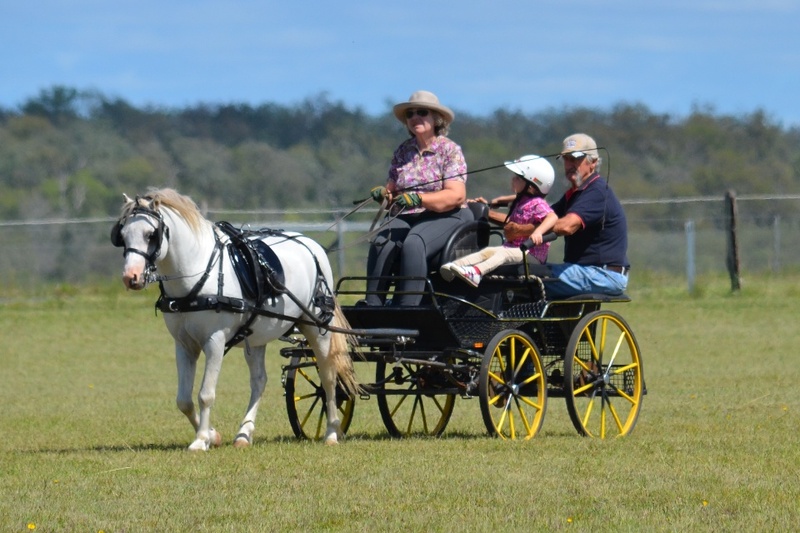 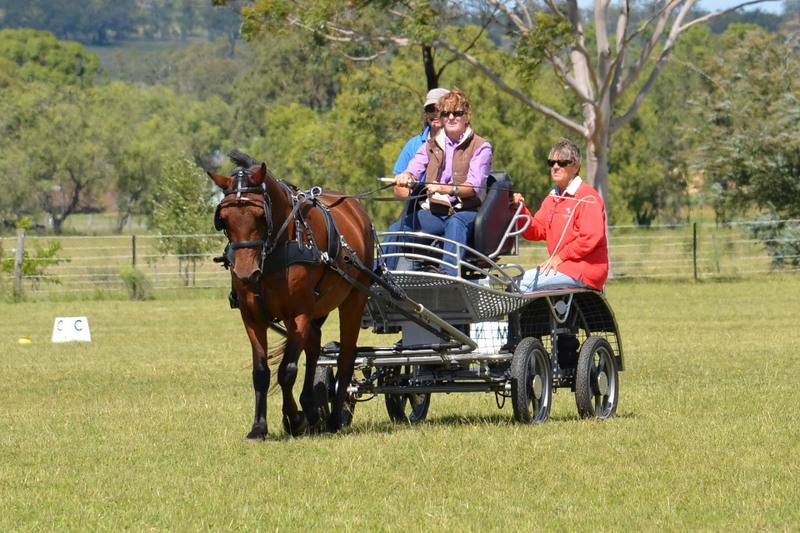 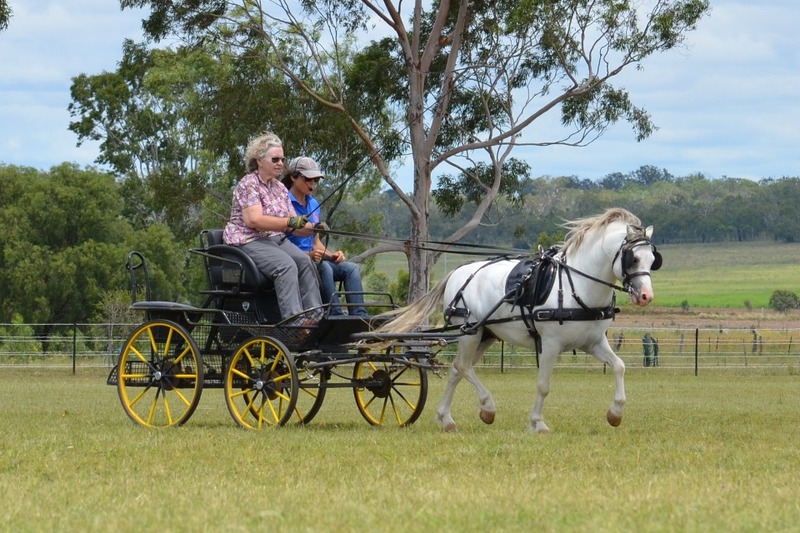 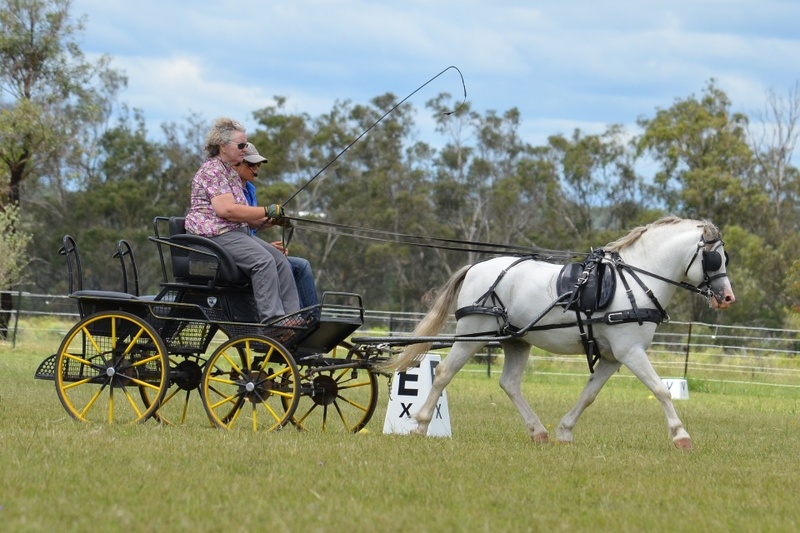 This was the introduction at the Southbrook weekend of learning facilitated by Champion Driver Bronwyn McAdam and the incredibly generous Dillmann Family who made everyone welcome to Strongfield Stud, their excellent carriage driving venue. 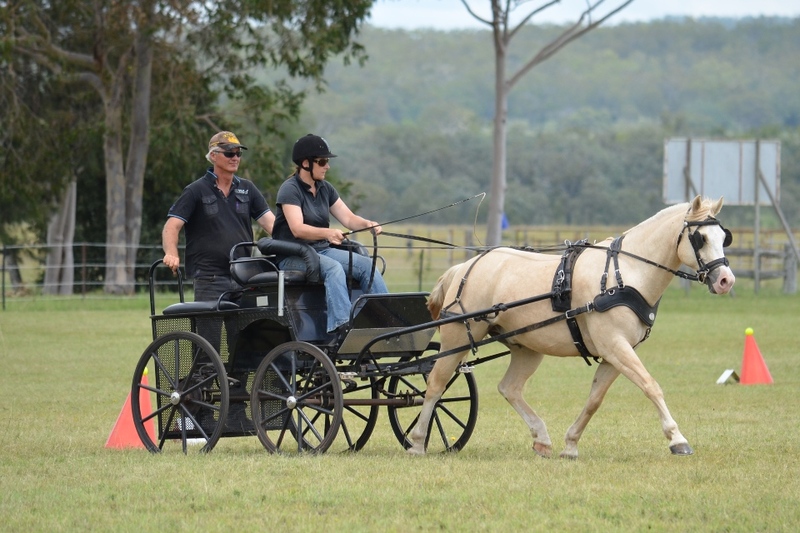 There was a range of addictions but the common thread was that everyone came to learn and learn they did. 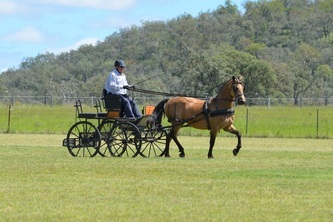 Eleven carriage drivers participated in the 2 day workshop and, along with spectators, attendance figures totalled 30. 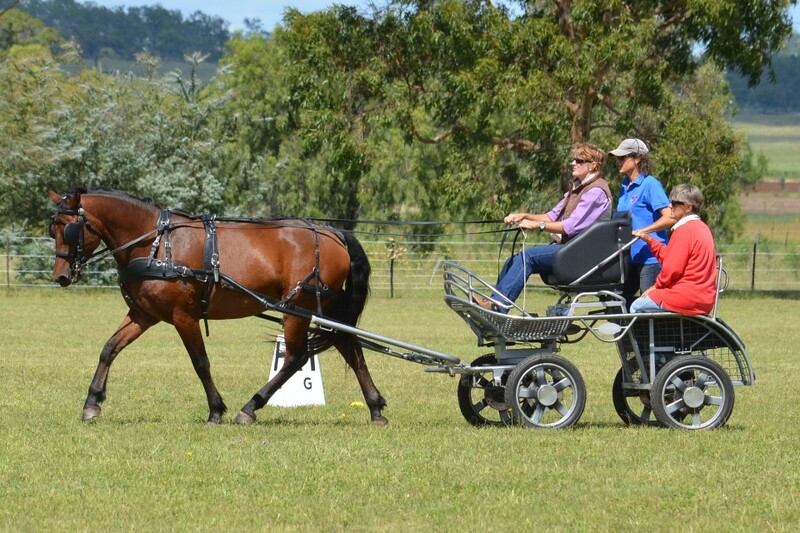 A very impressive start to the 2013 driving season indeed.. Such was the interest in Bronwyn’s superb knowledge of dressage that the sessions ran longer than expected, it was marvellous to see people so immersed as they hung on every word. 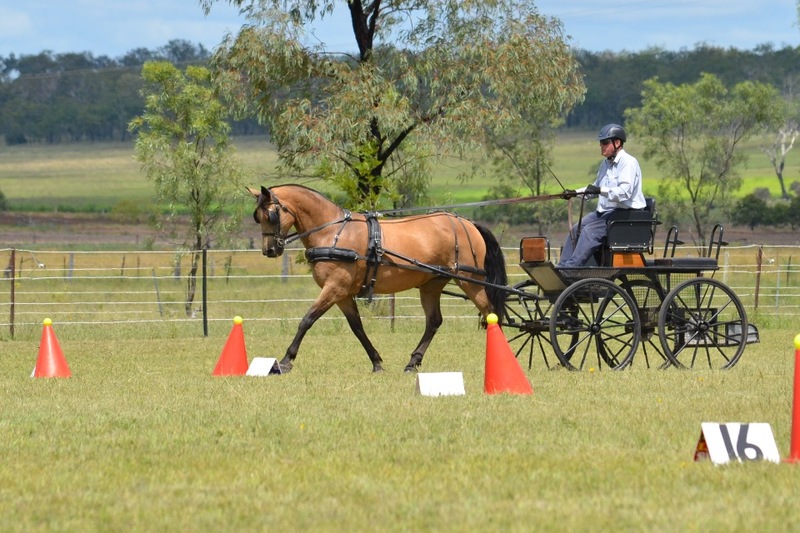 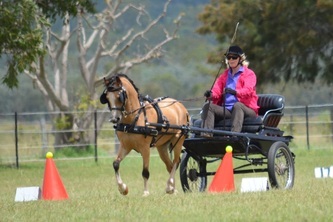 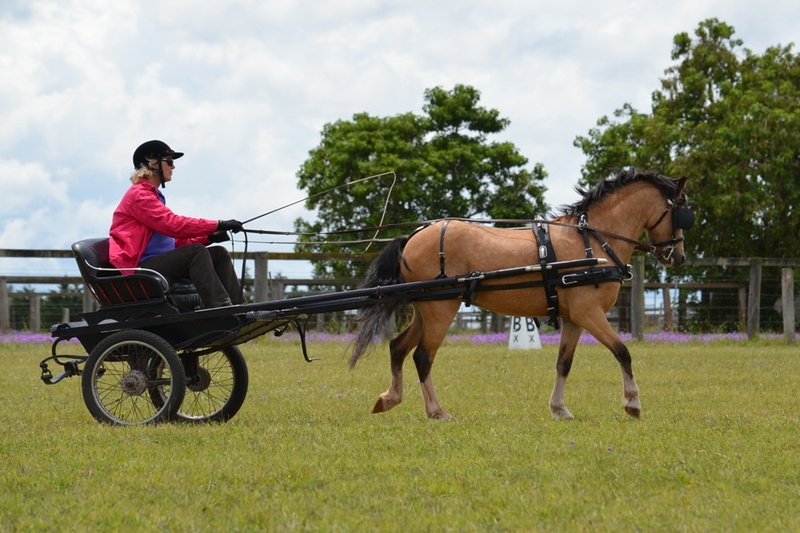 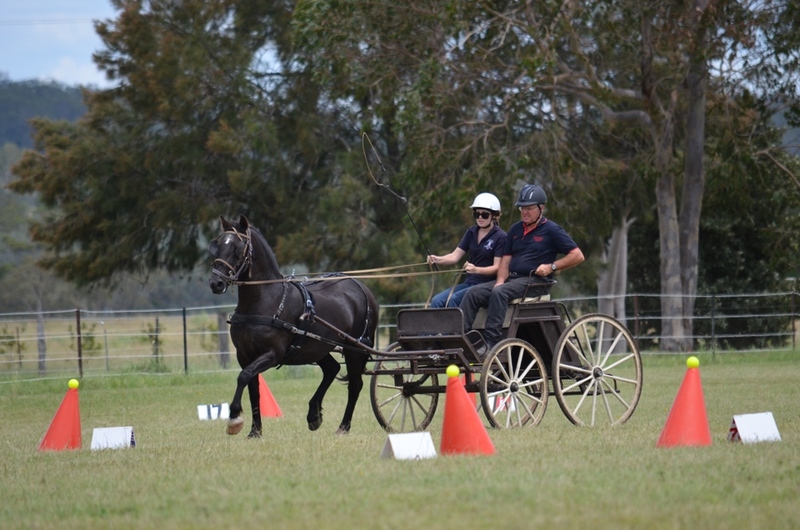 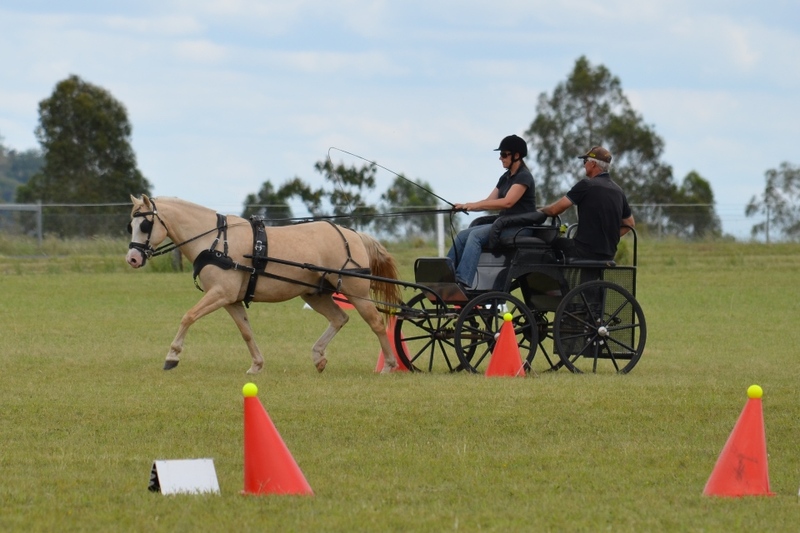 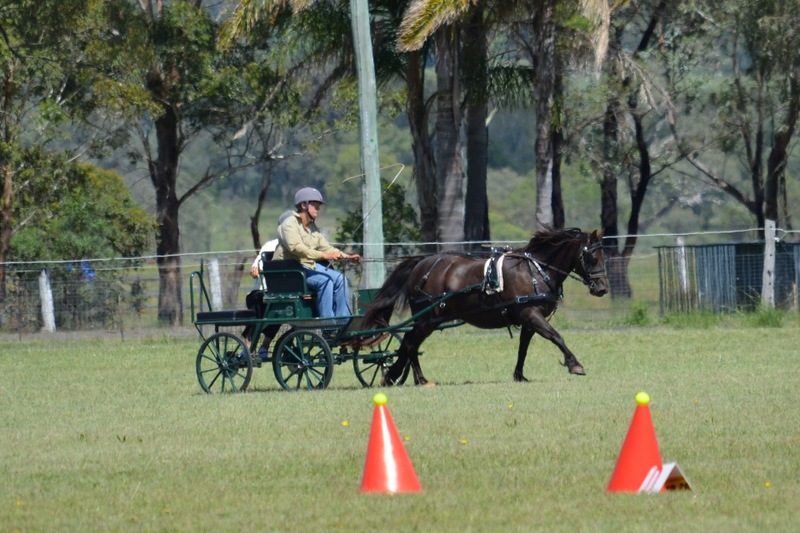 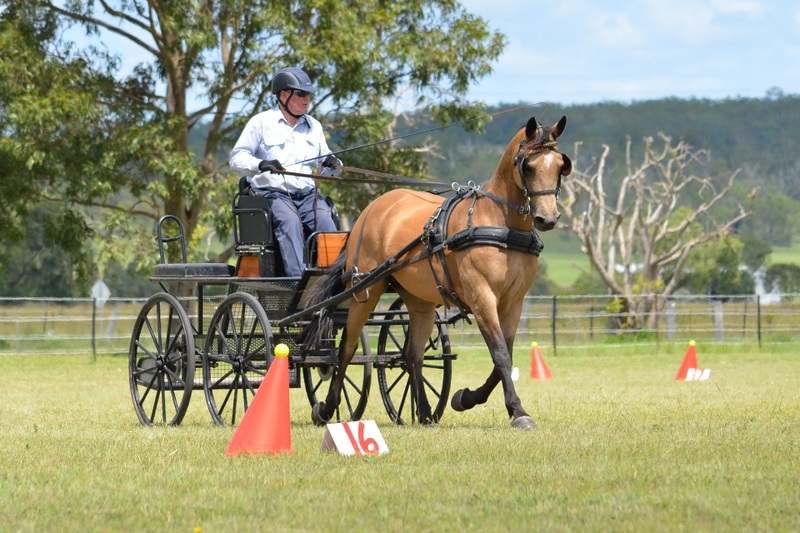 The improvement was noticeable before some sessions had been completed and with further practice at home there will be some much improved dressage scores. The need for speed was well catered for and at each run through the MO, the helmet drivers shaved multiple seconds from their PB’s. 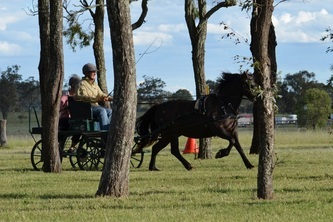 Single ponies, single horses, pony pairs, horse pairs, all were starting to drift as the runs got faster. Competitive bunch? 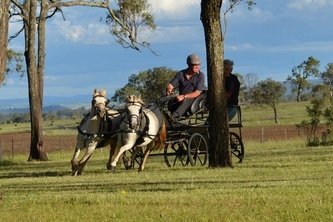 You bet ya sweet bippy they are! 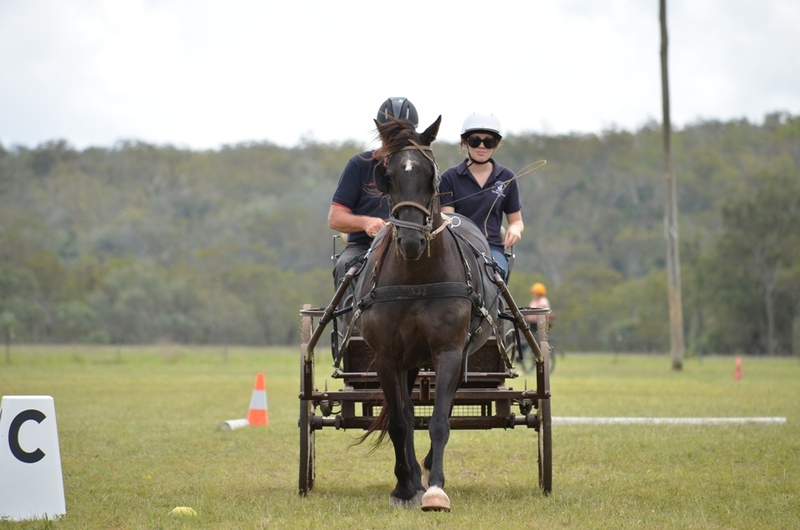 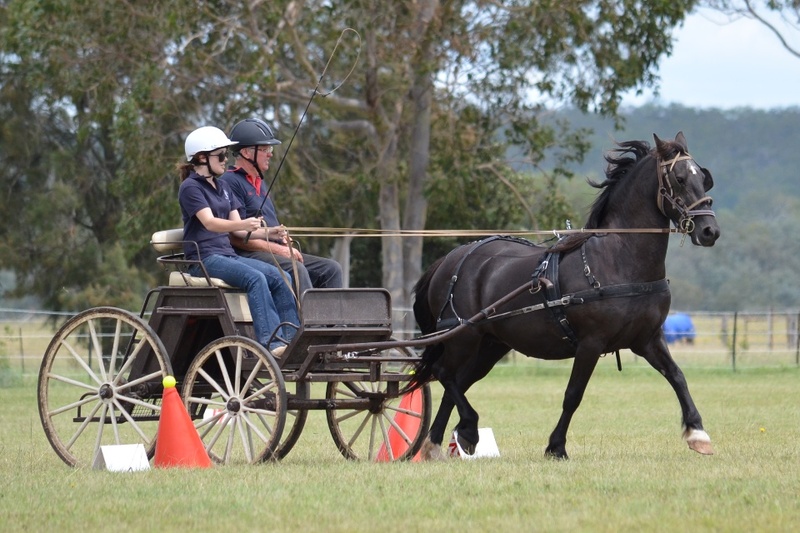 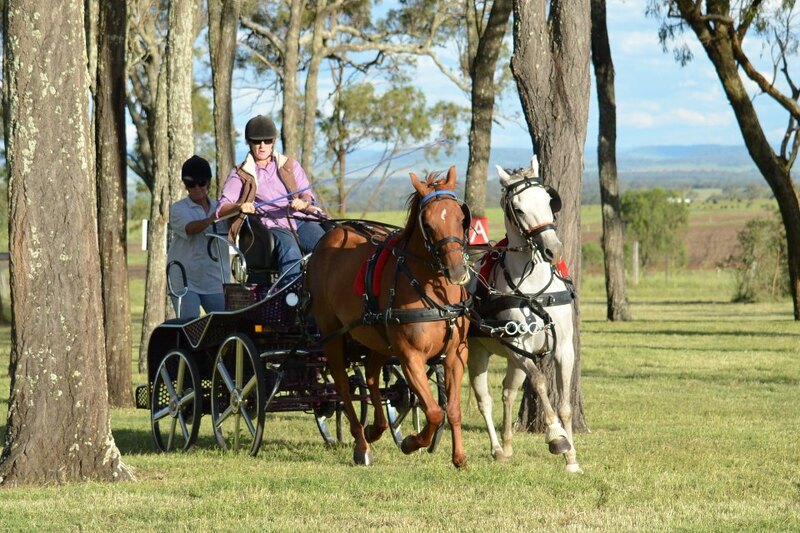 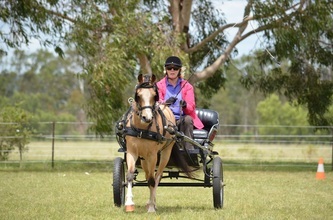 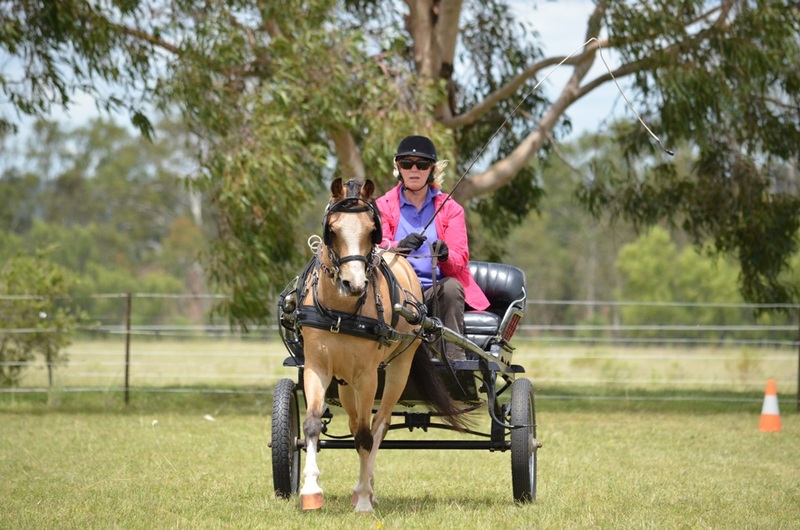 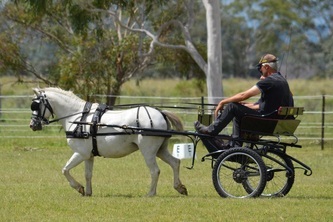 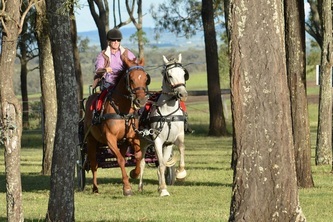 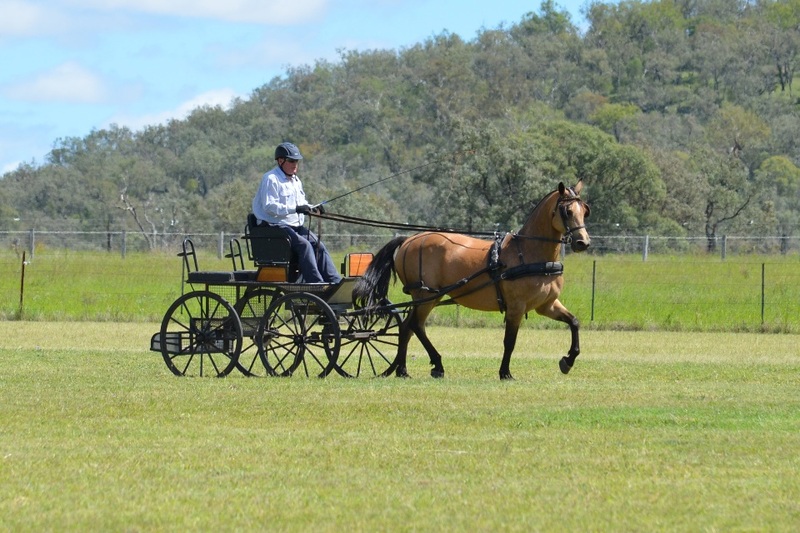 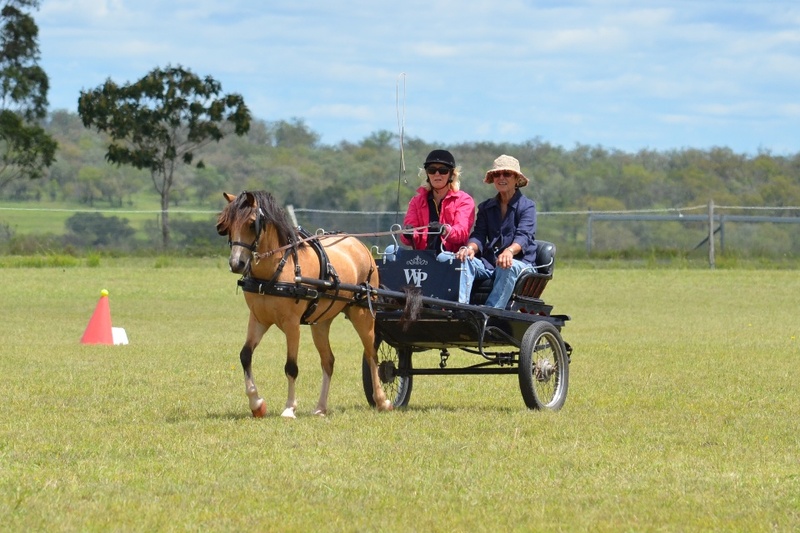 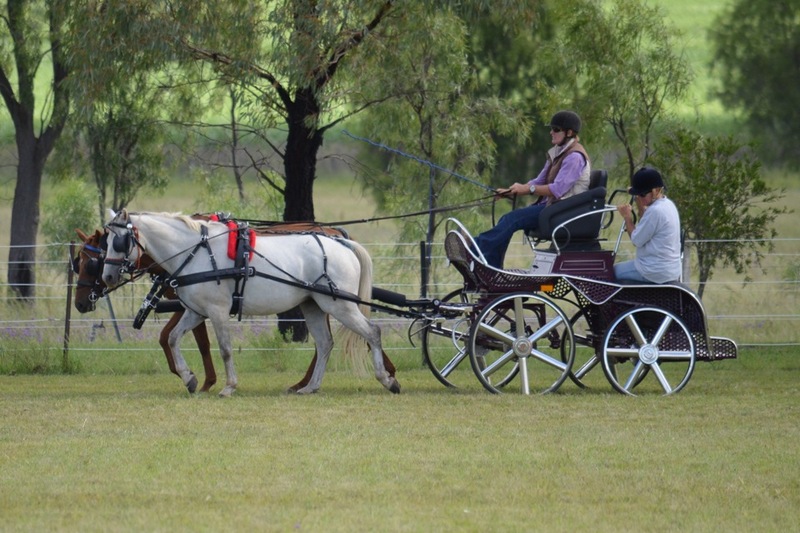 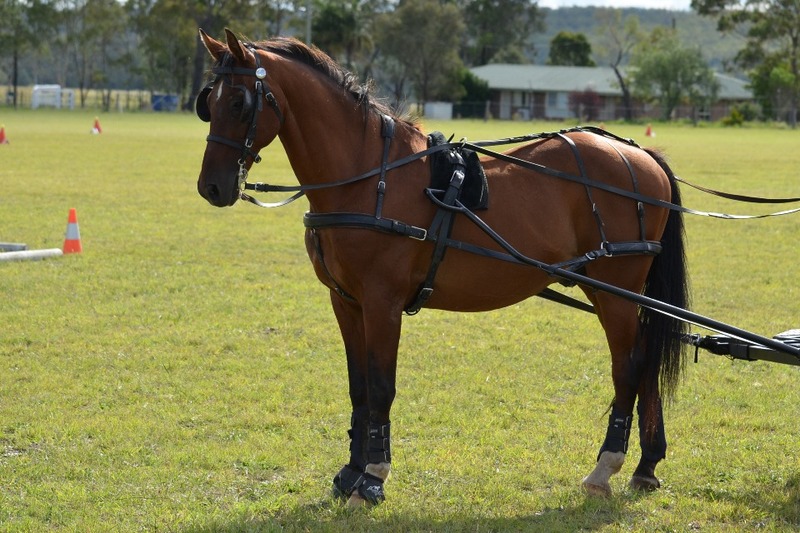 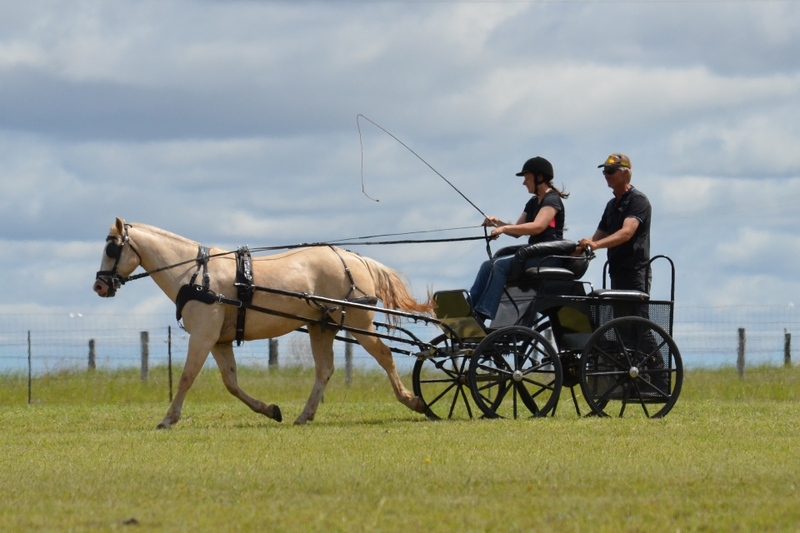 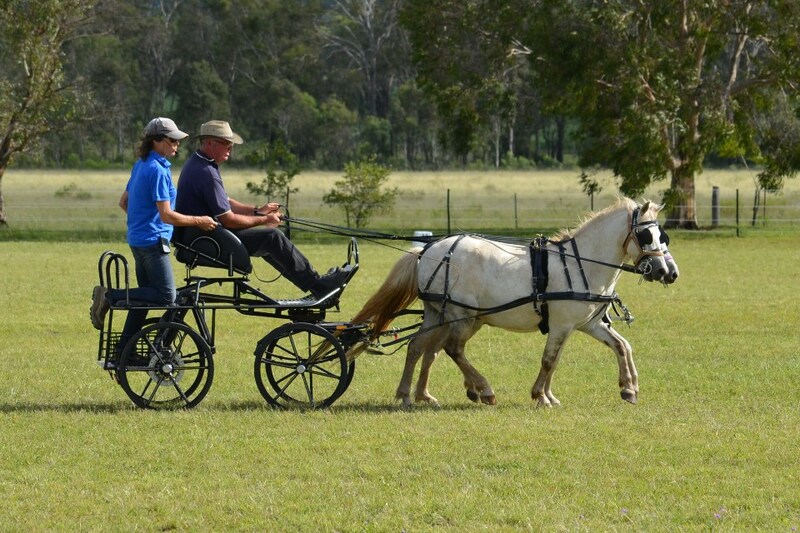 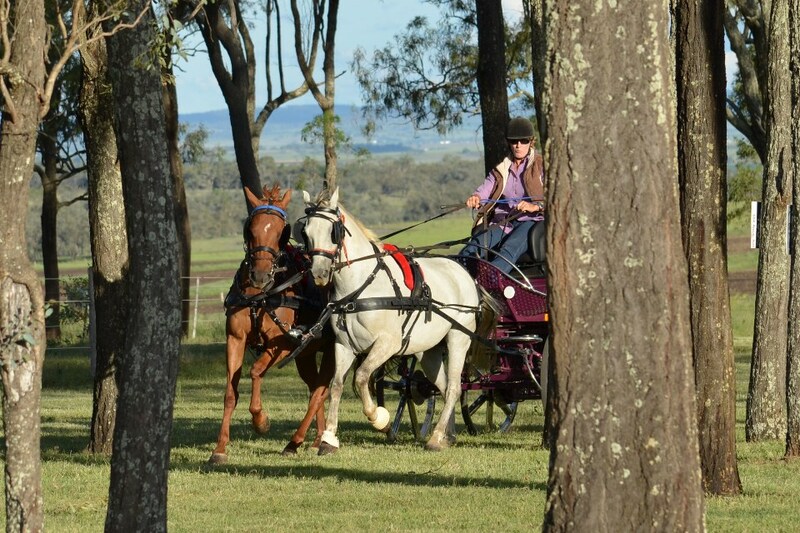 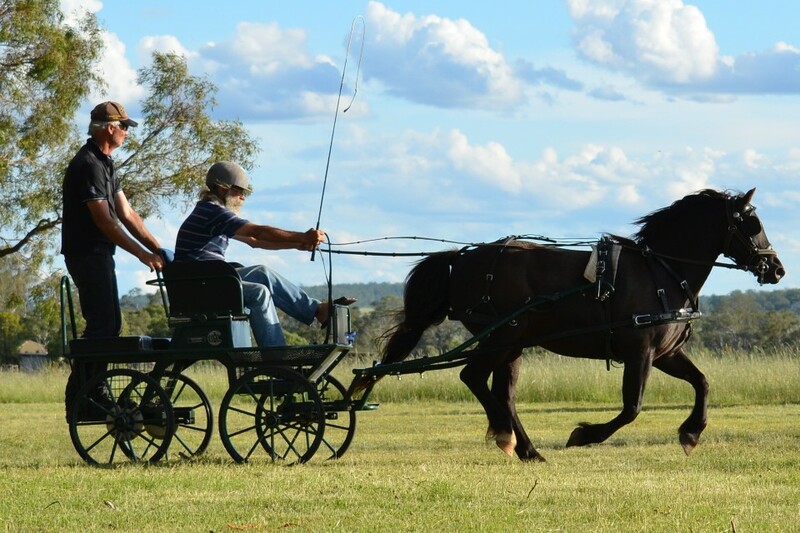 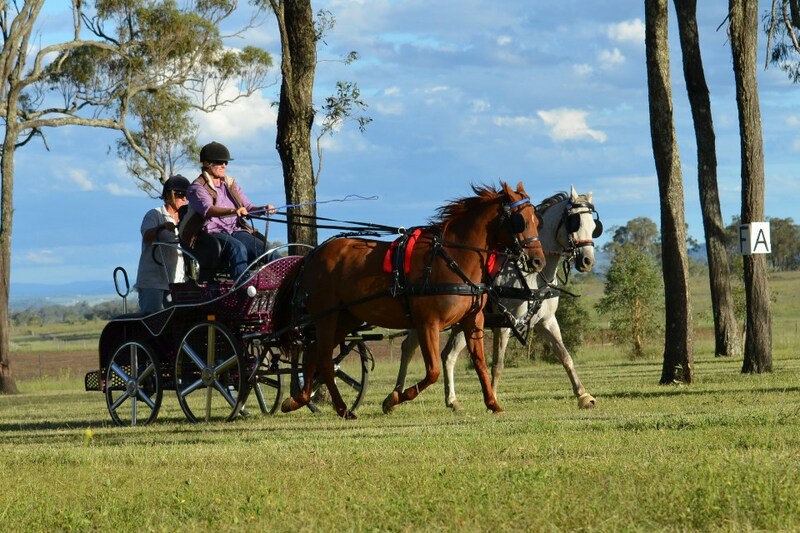 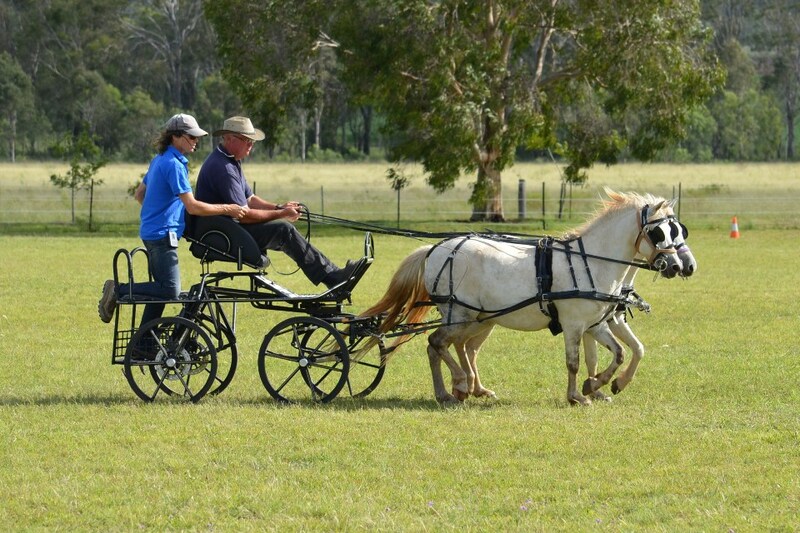 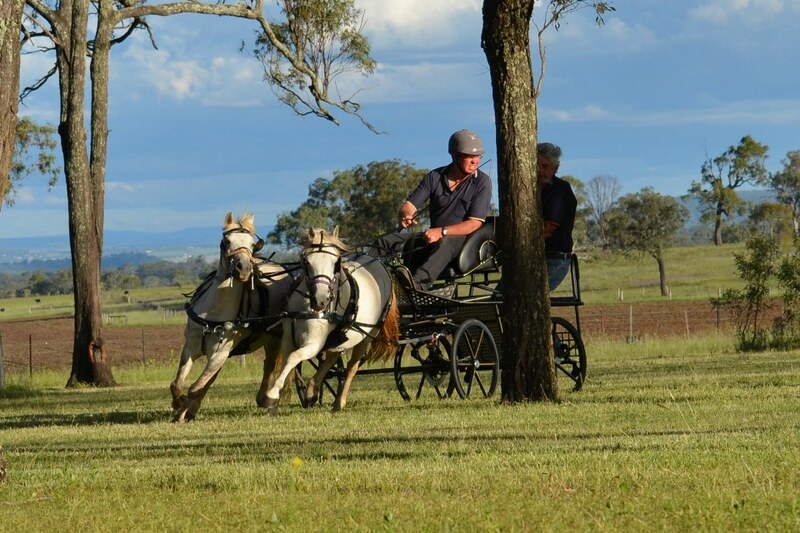 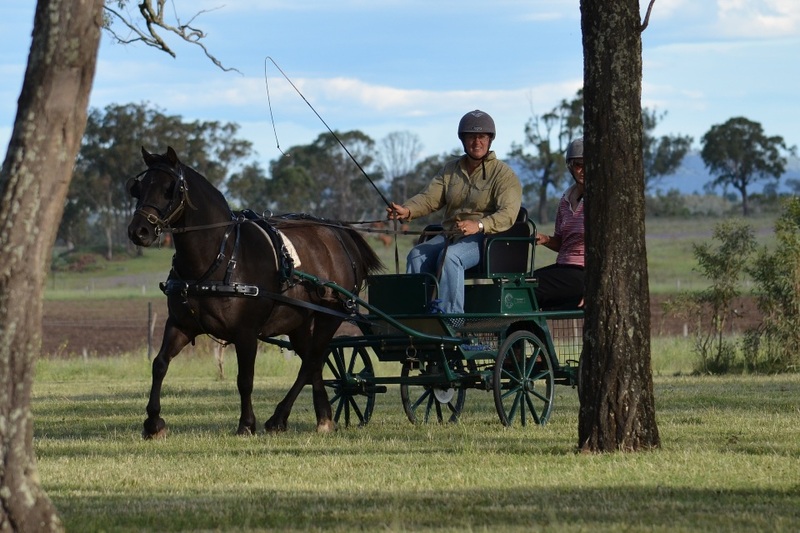 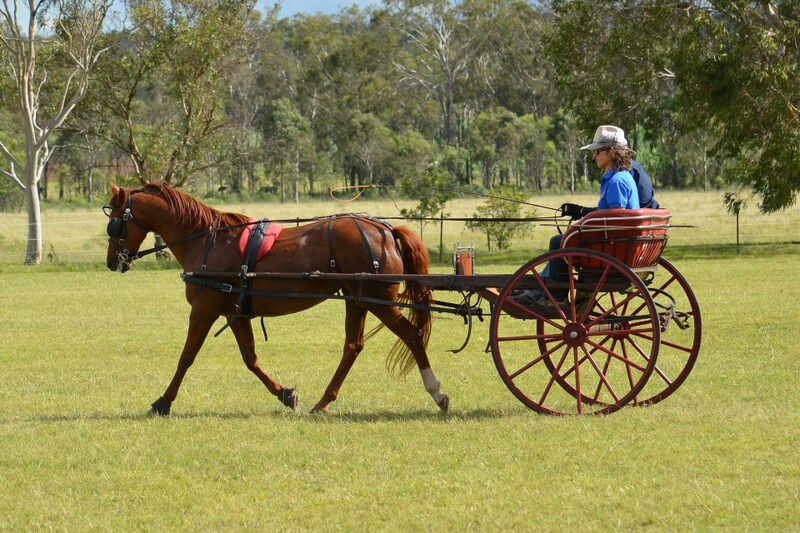 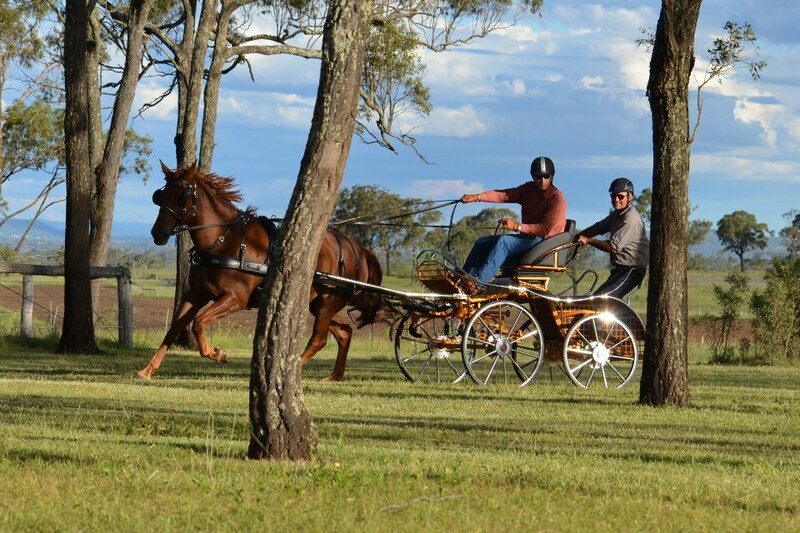 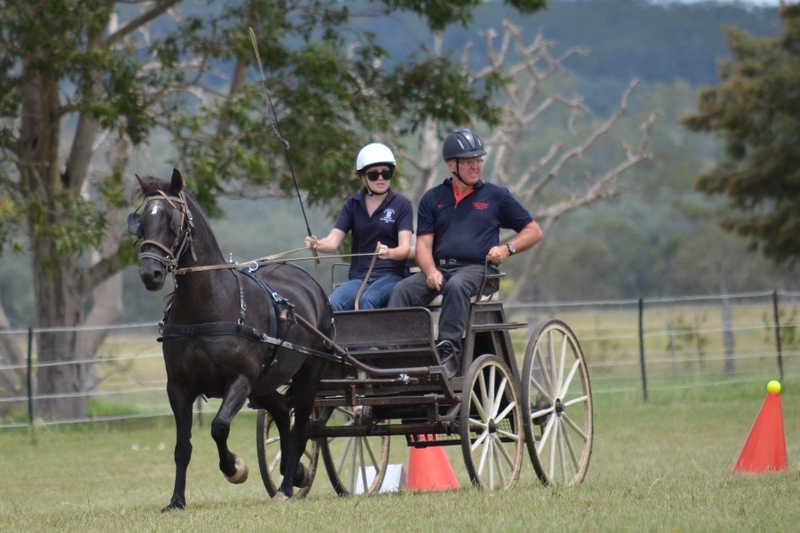 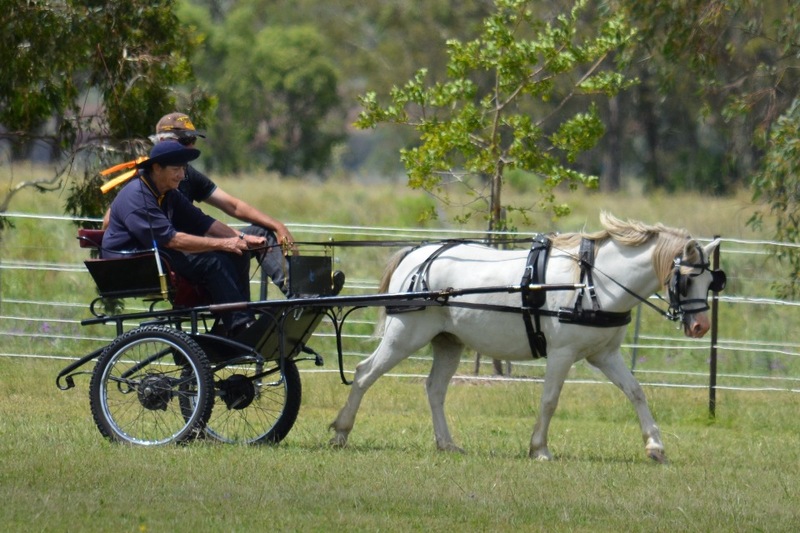 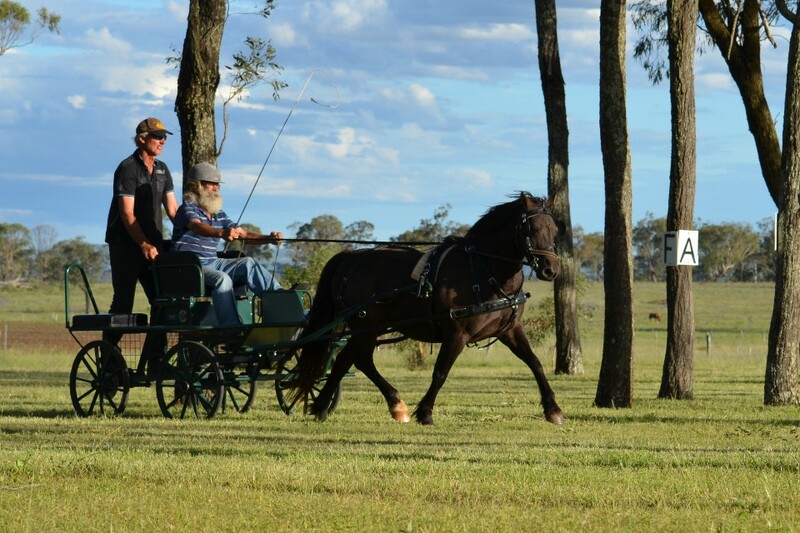 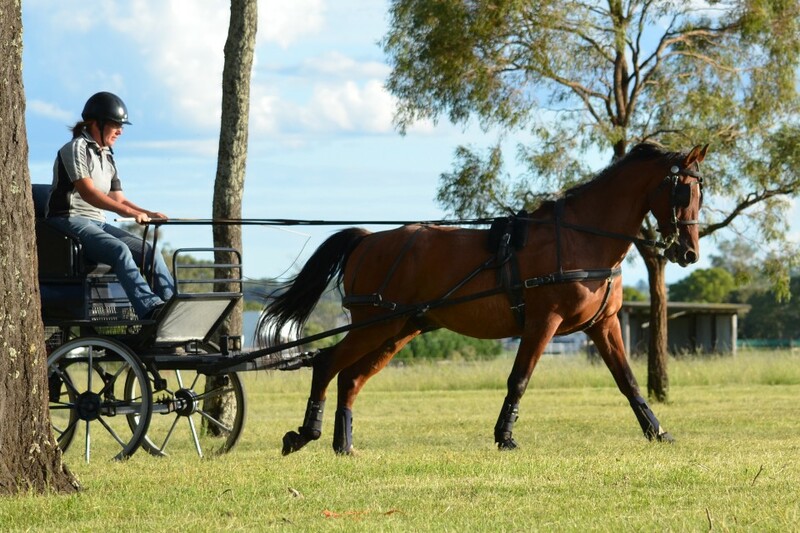 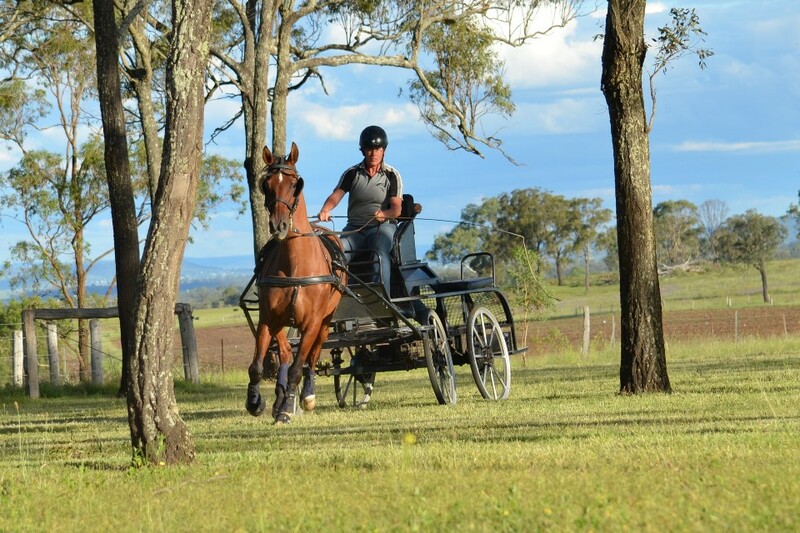 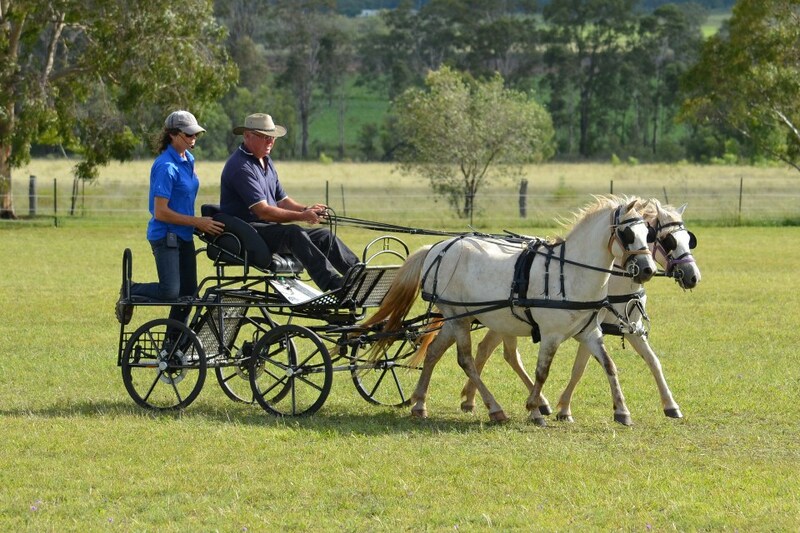 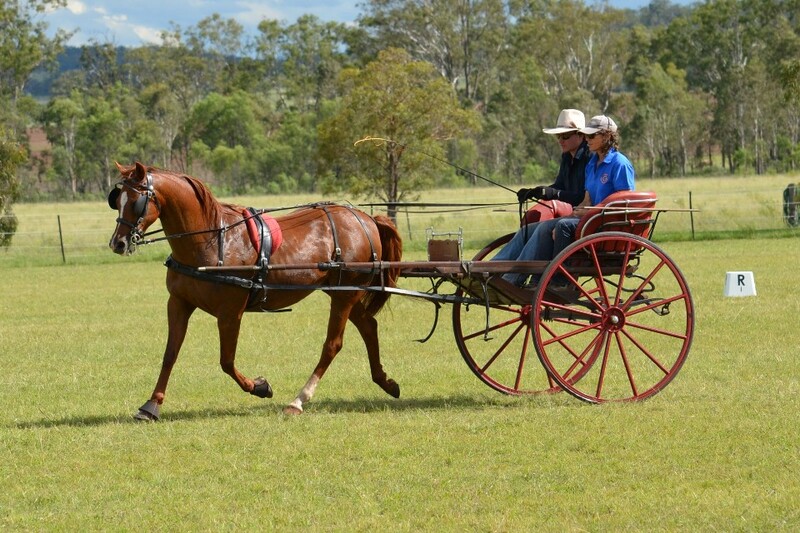 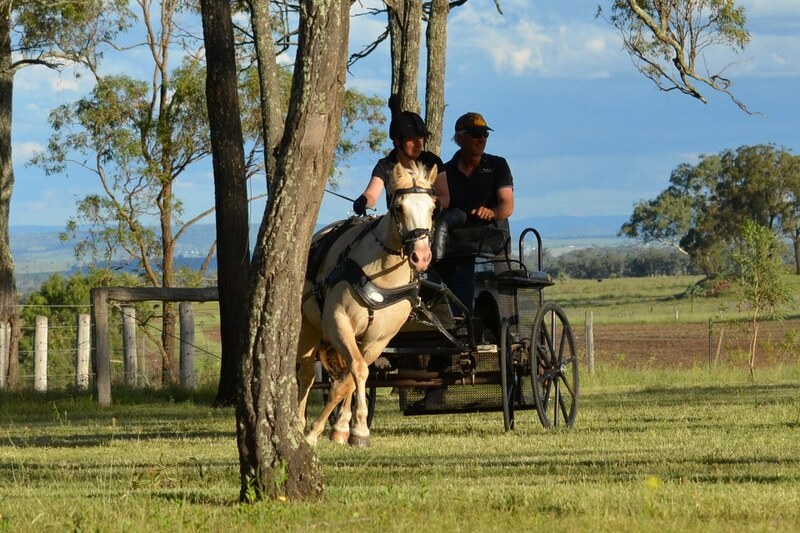 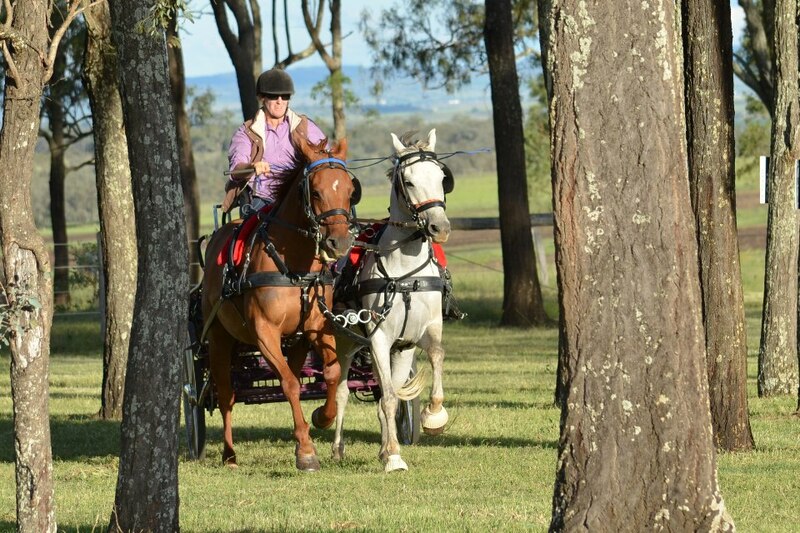 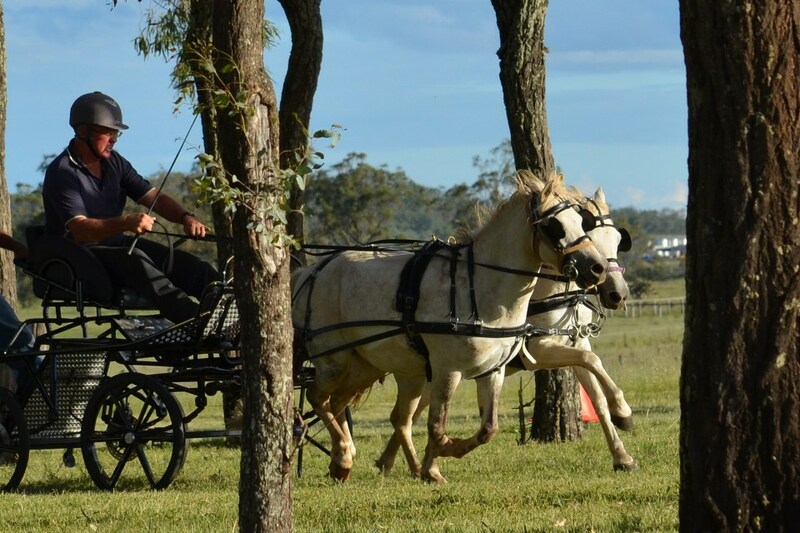 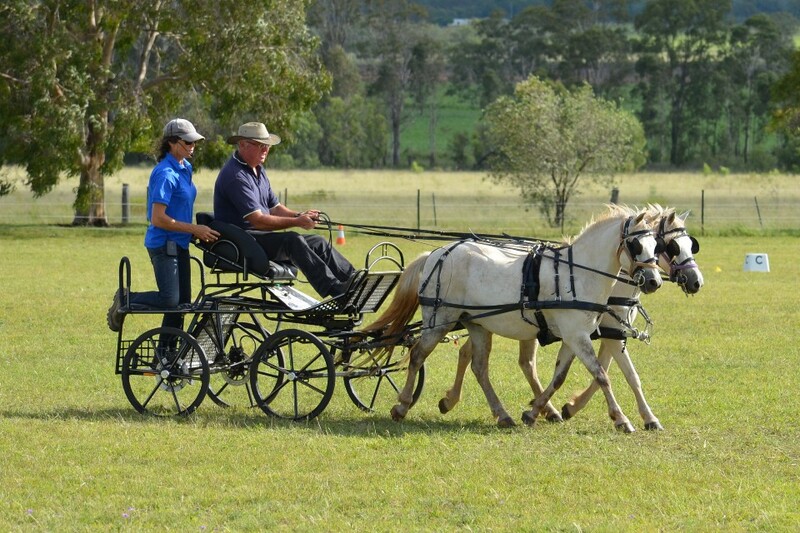 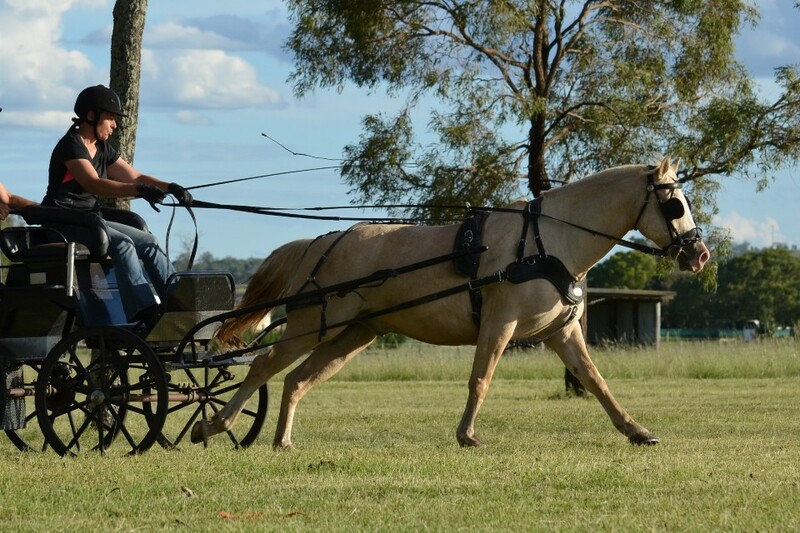 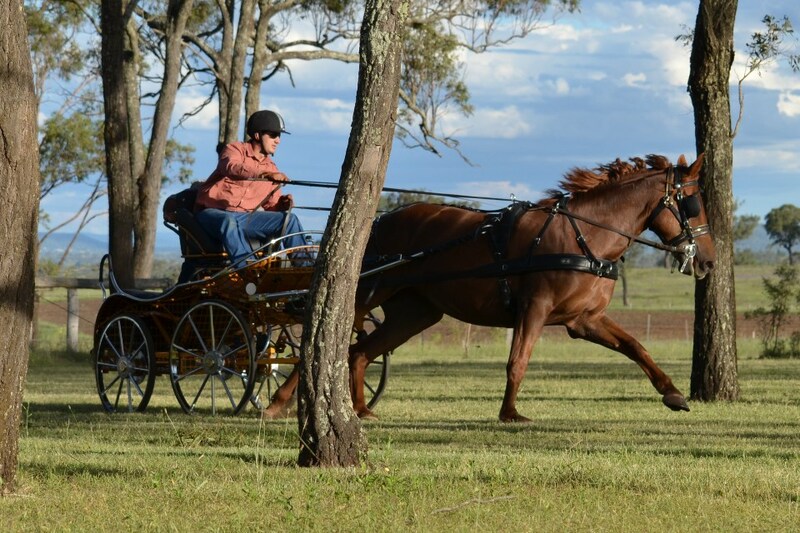 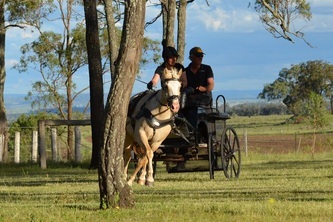 Tracie and Michael Borg really impressed with their new horse pair- these are dedicated horse people who don’t mind travelling the odd kilometre or two. 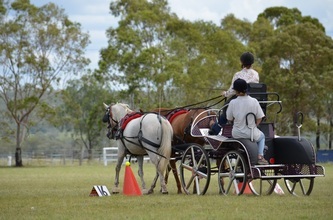 Day two arrived and back to dressage arena for more advice and then on to the expansive cones arena. The wide open spaces called to the drivers as they dashed from obstacle to obstacle, again improving with every run. 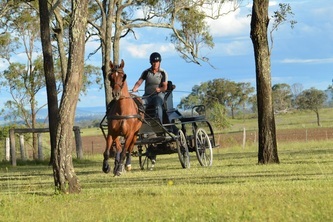 The need for speed was fermenting again so off to the MO, a quick change of letters and it was on again. 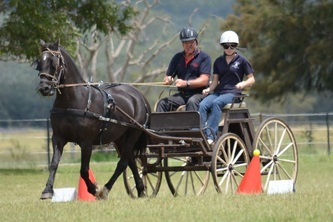 Some expectations were dashed but only momentarily as the competitive spirit prevailed and more fast runs were observed. 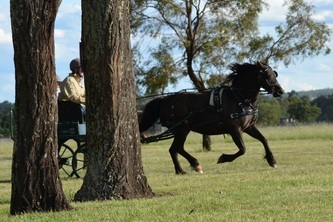 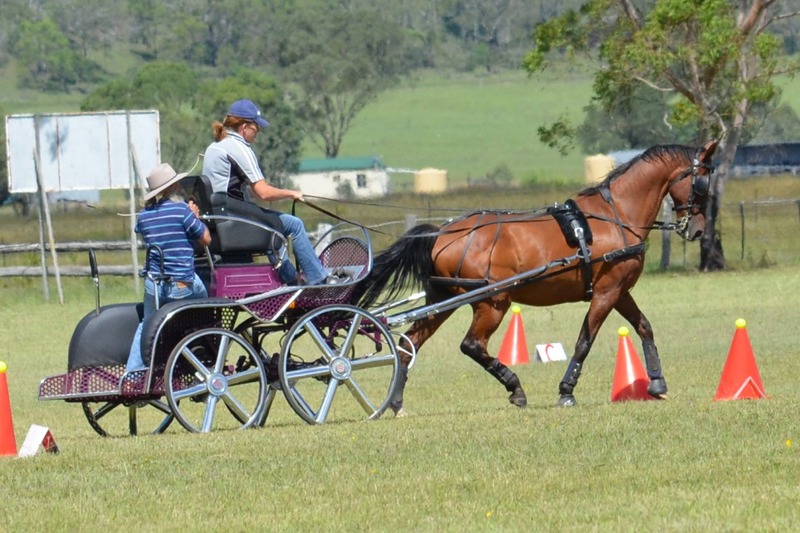 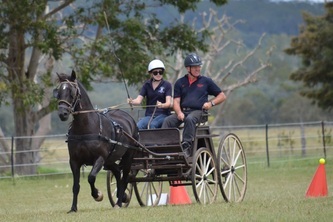 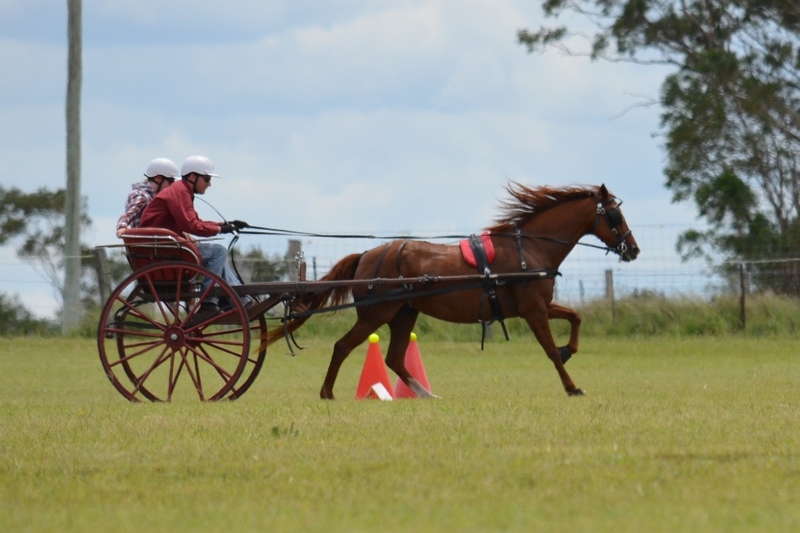 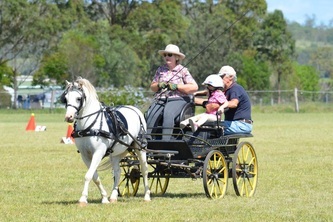 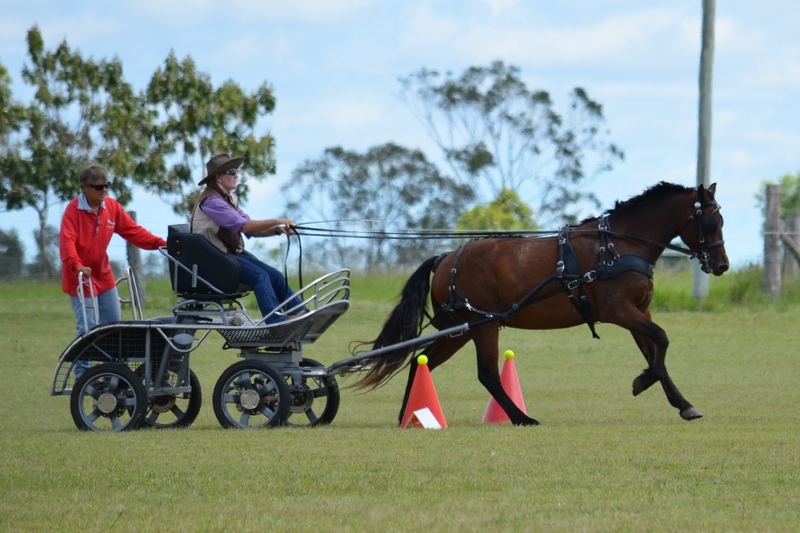 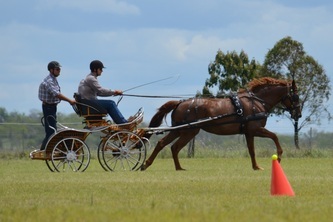 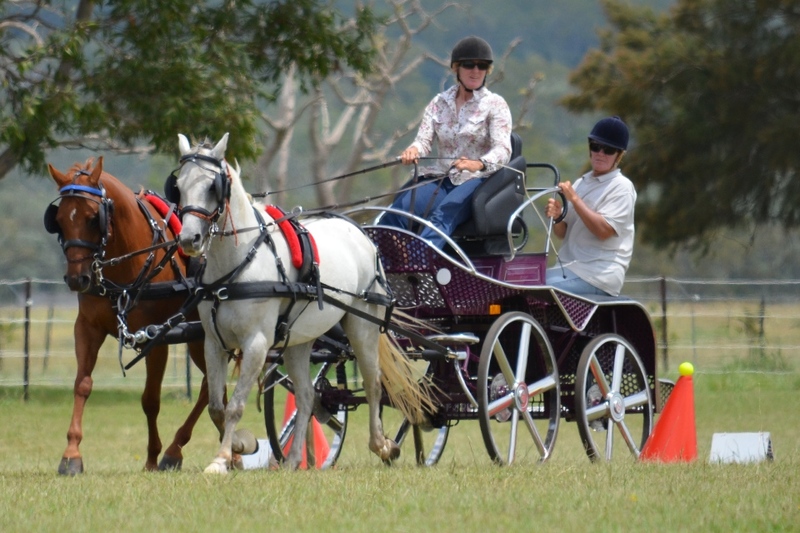 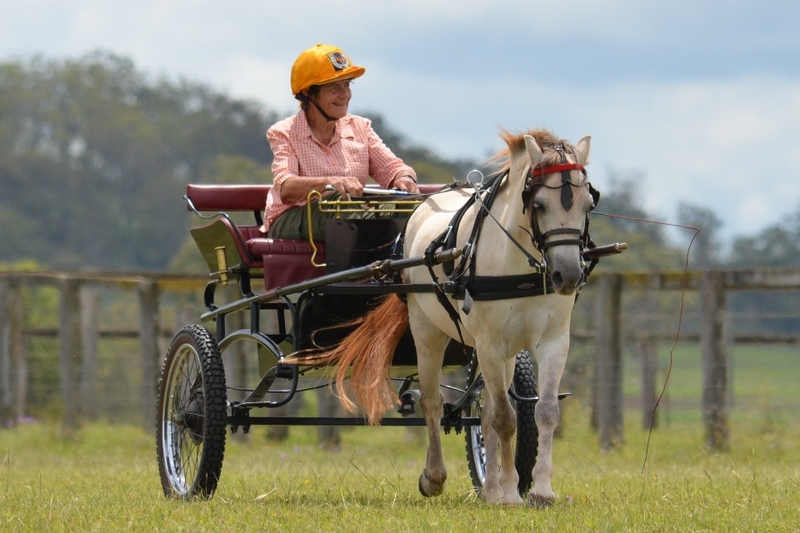 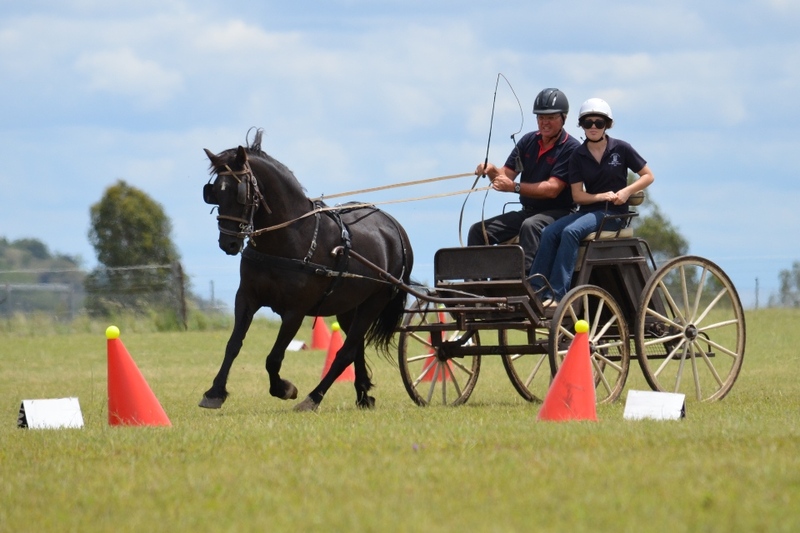 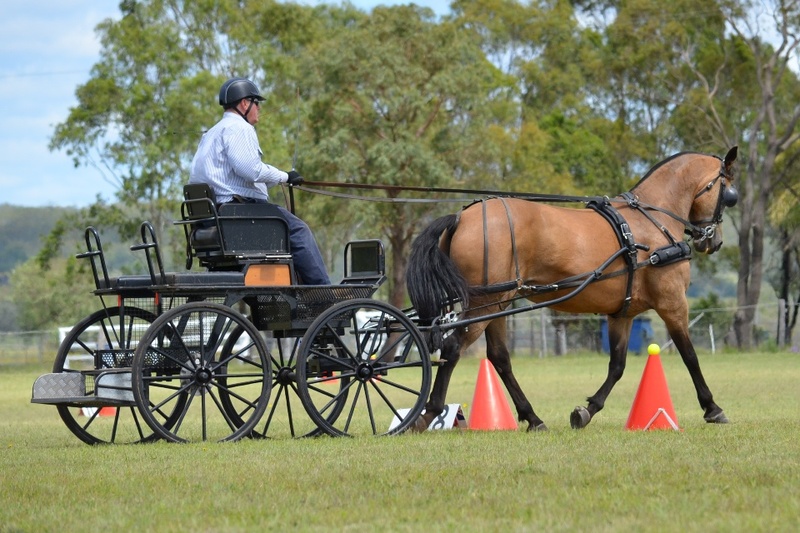 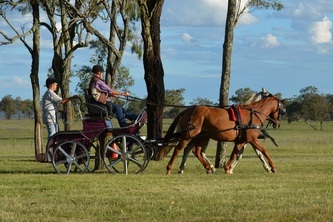 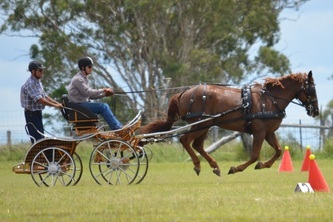 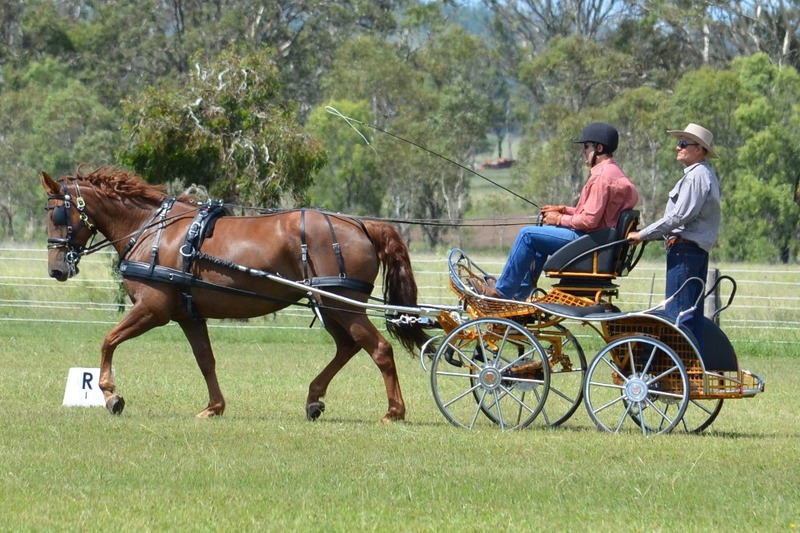 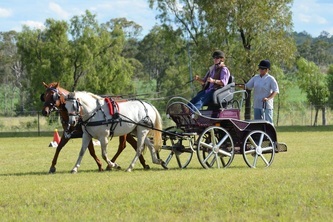 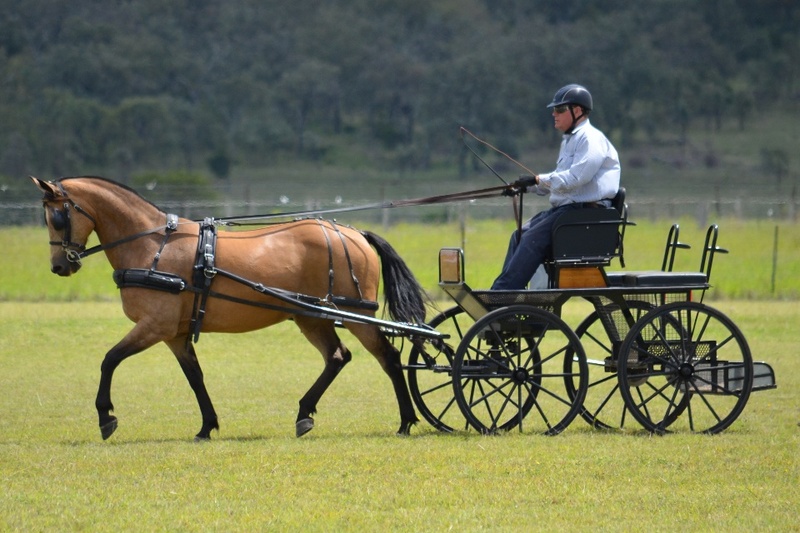 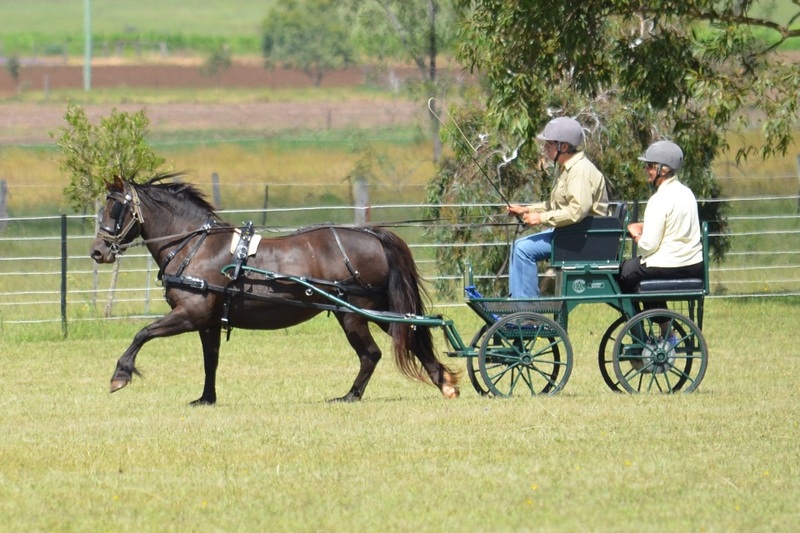 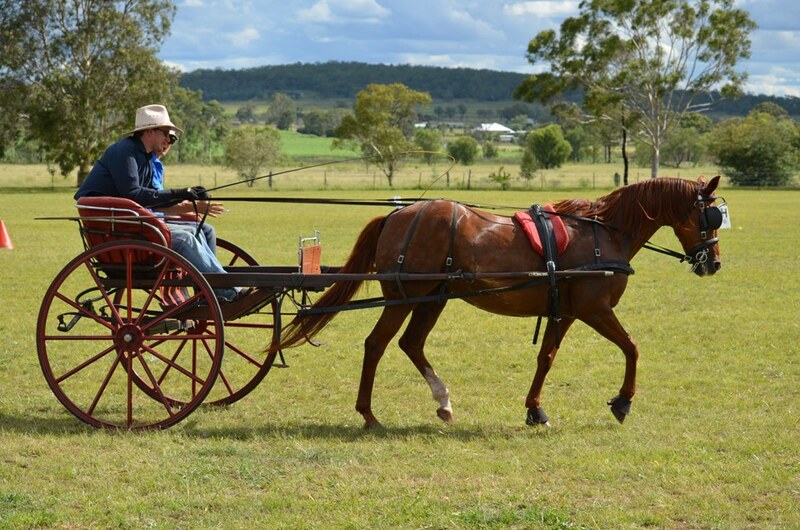 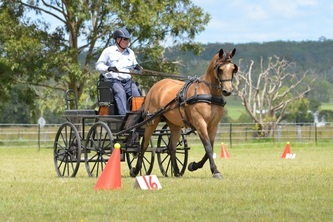 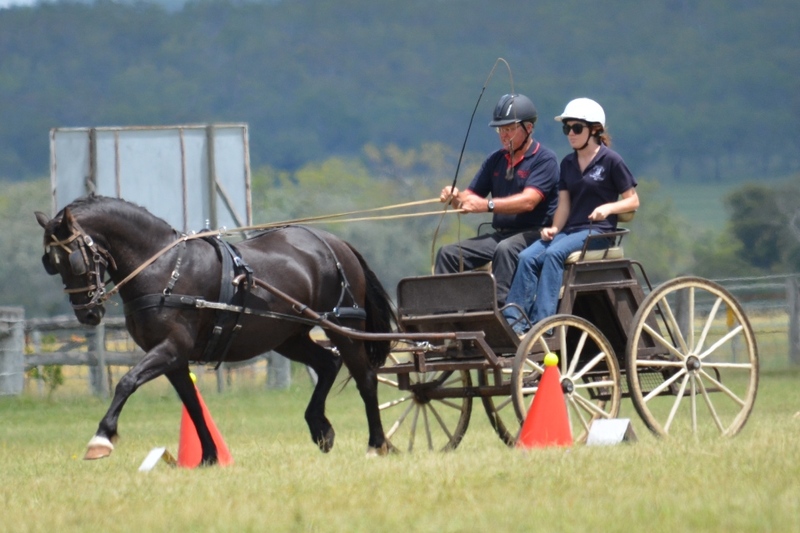 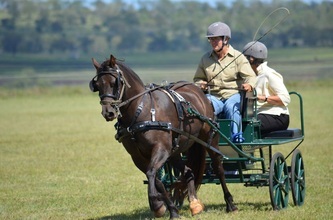 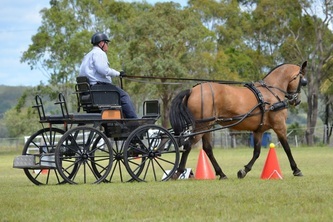 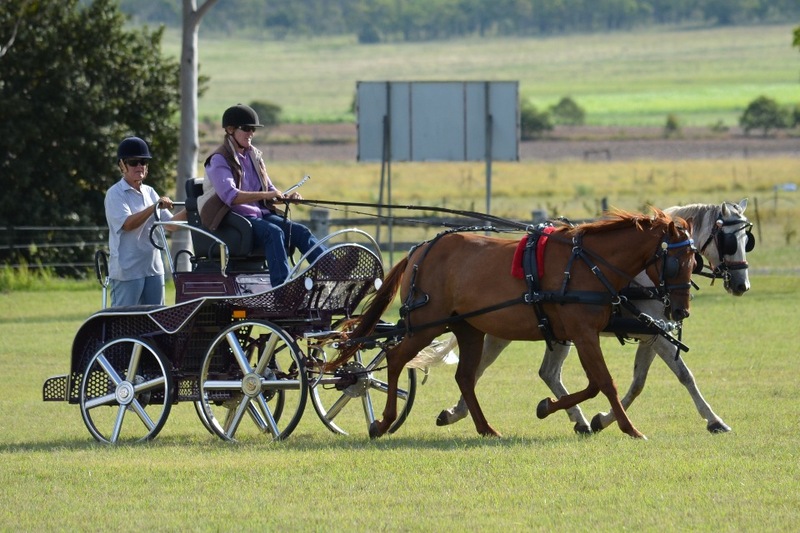 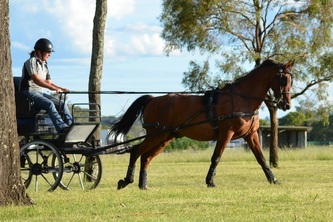 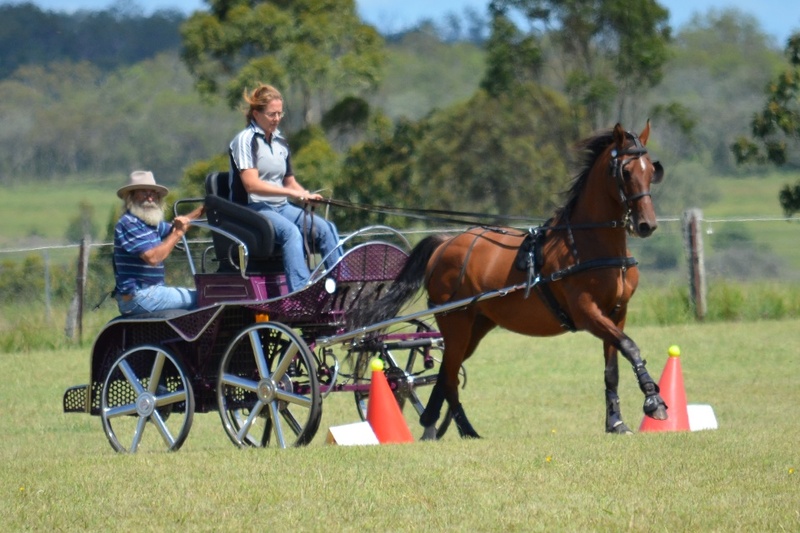 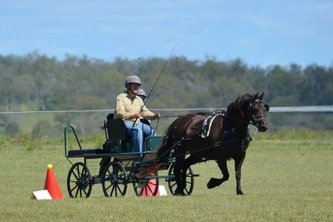 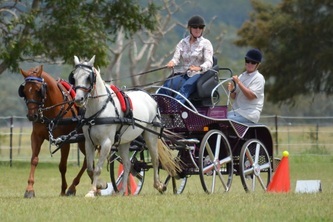 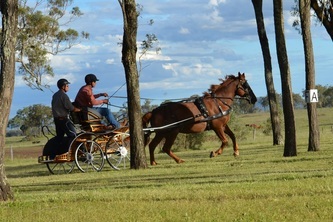 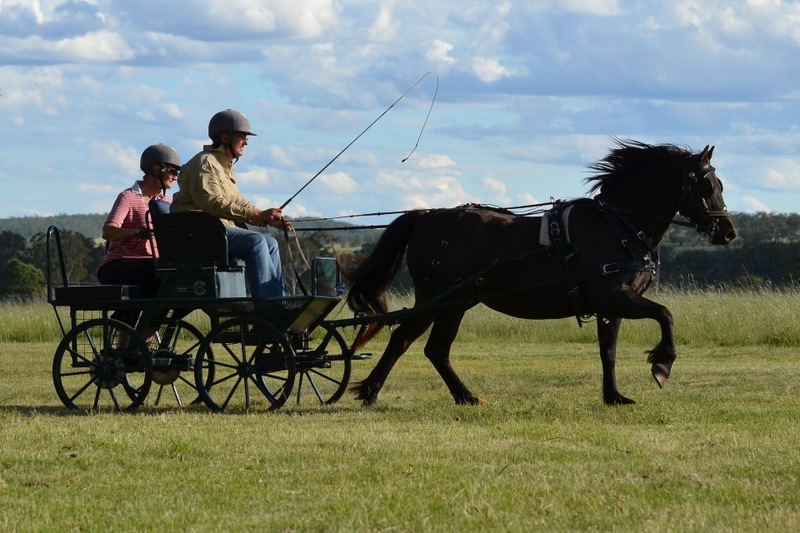 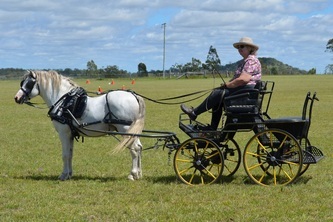 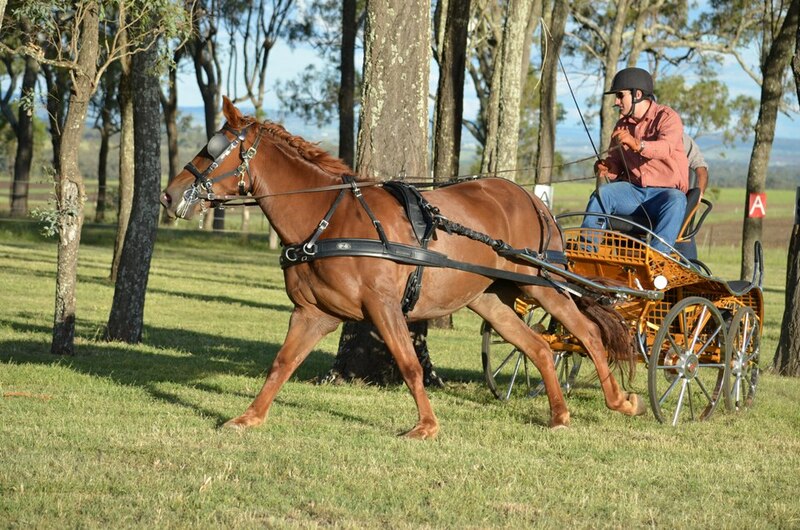 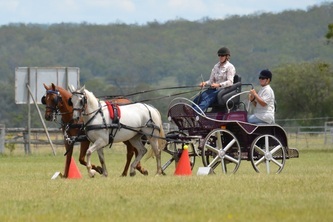 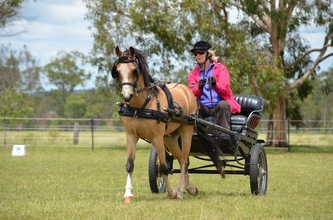 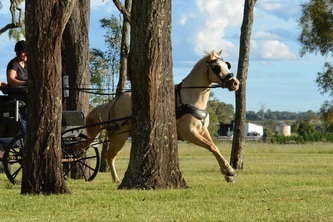 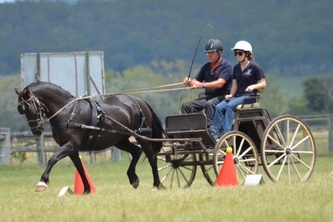 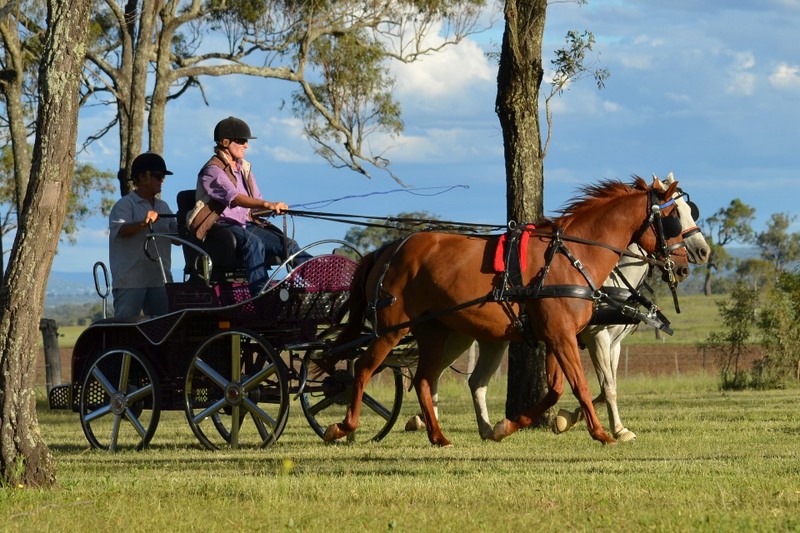 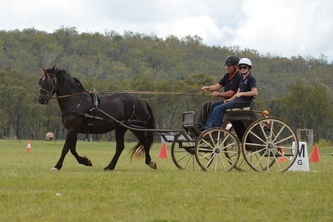 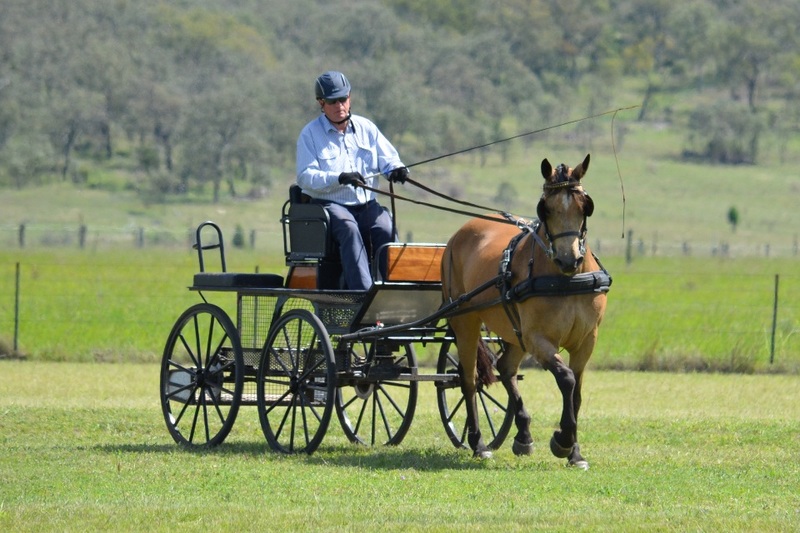 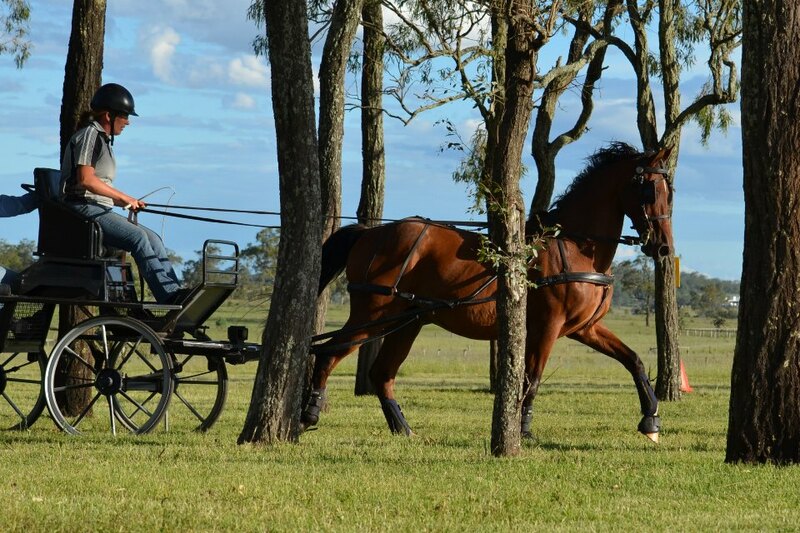 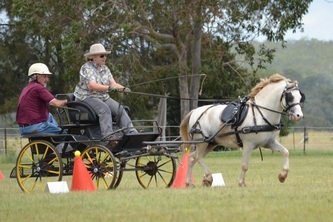 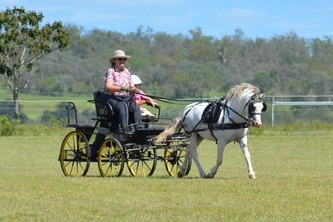 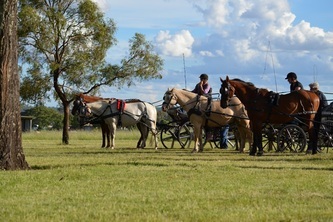 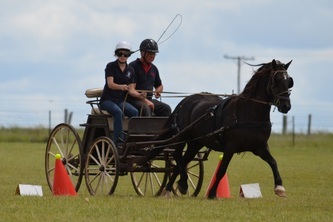 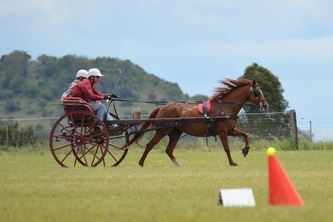 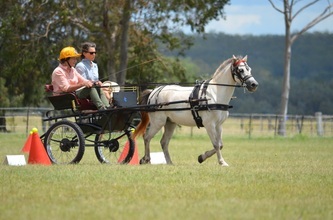 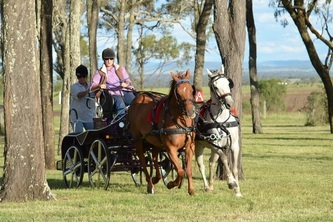 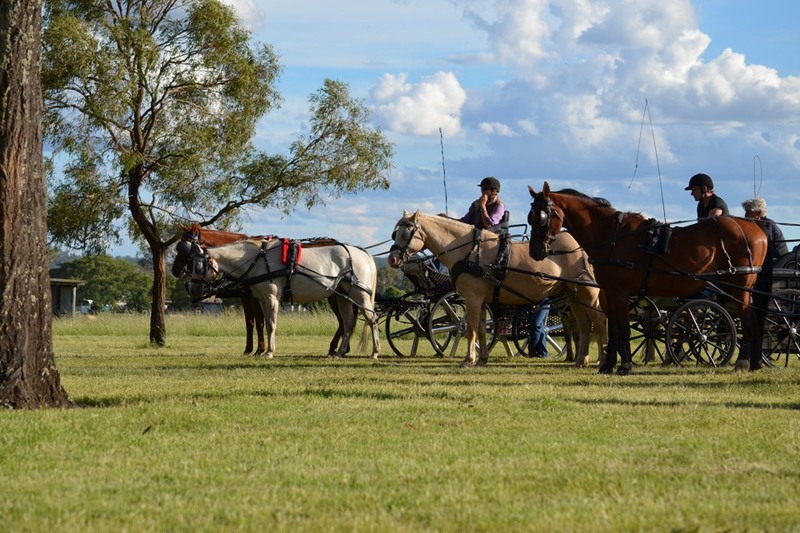 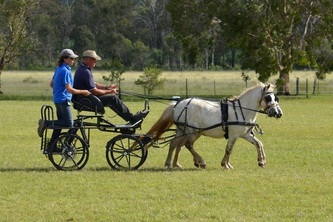 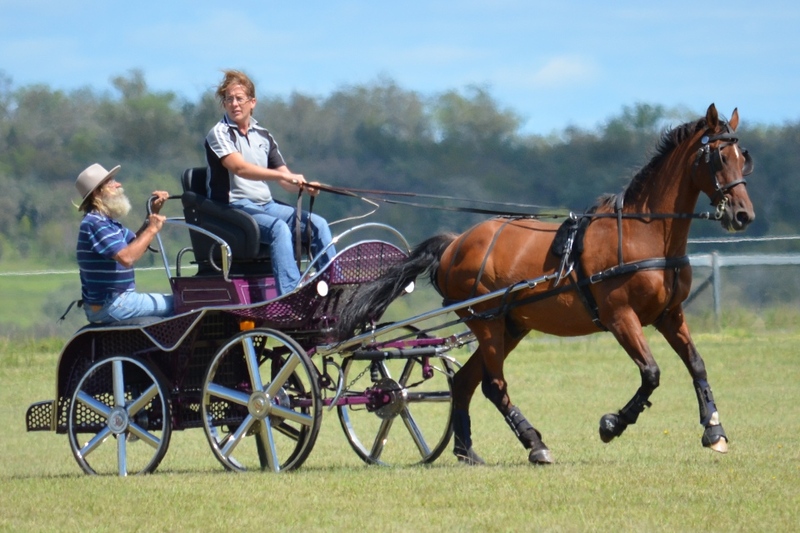 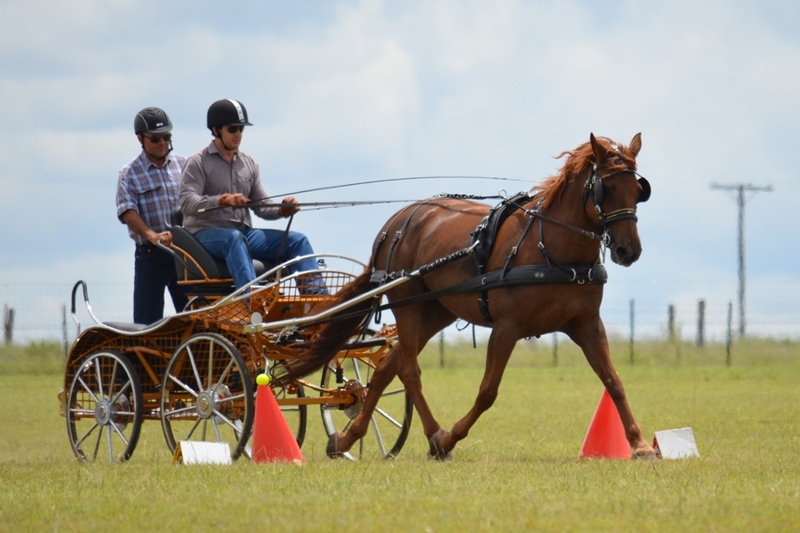 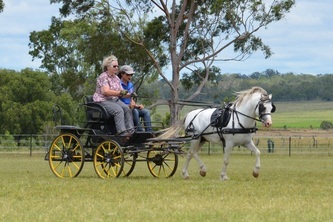 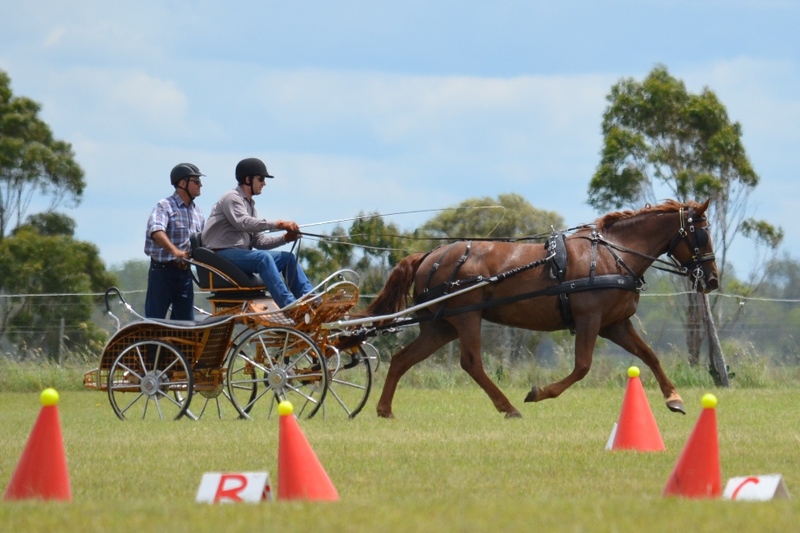 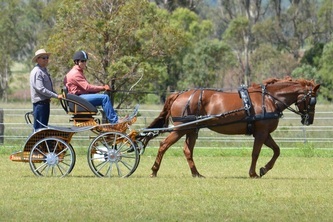 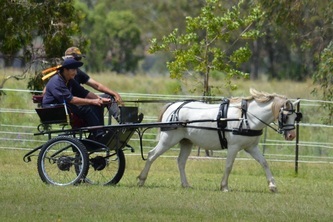 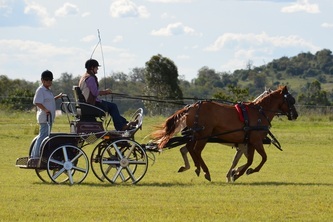 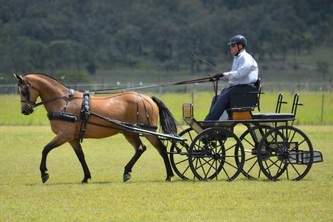 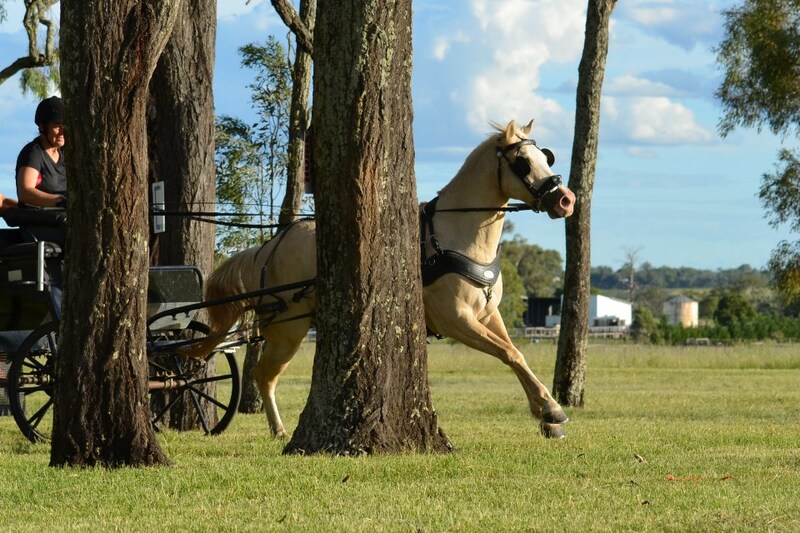 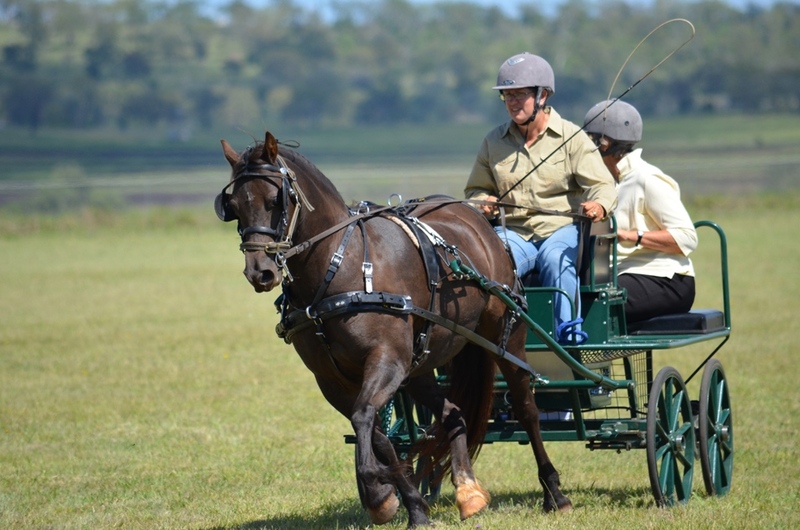 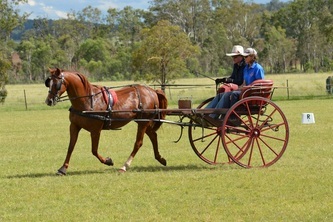 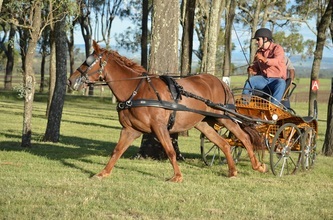 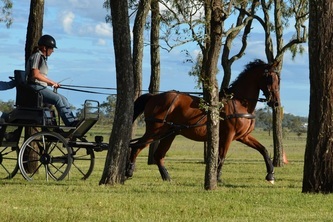 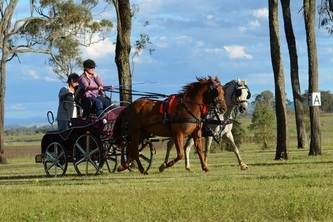 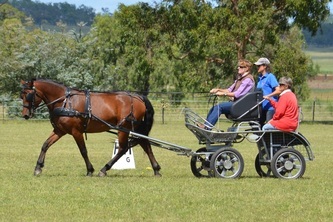 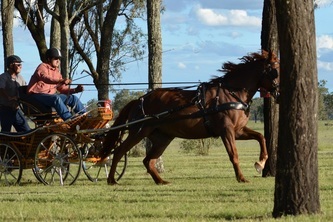 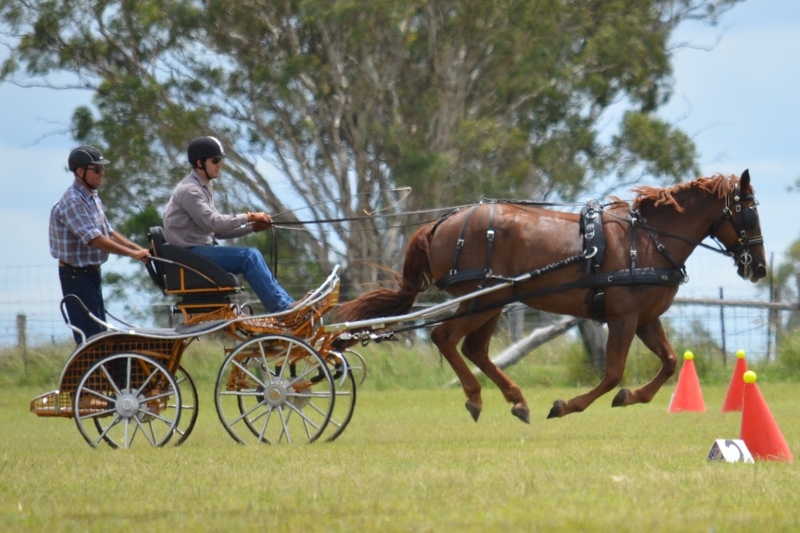 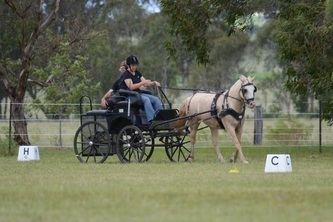 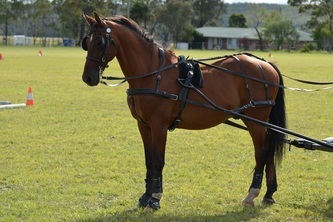 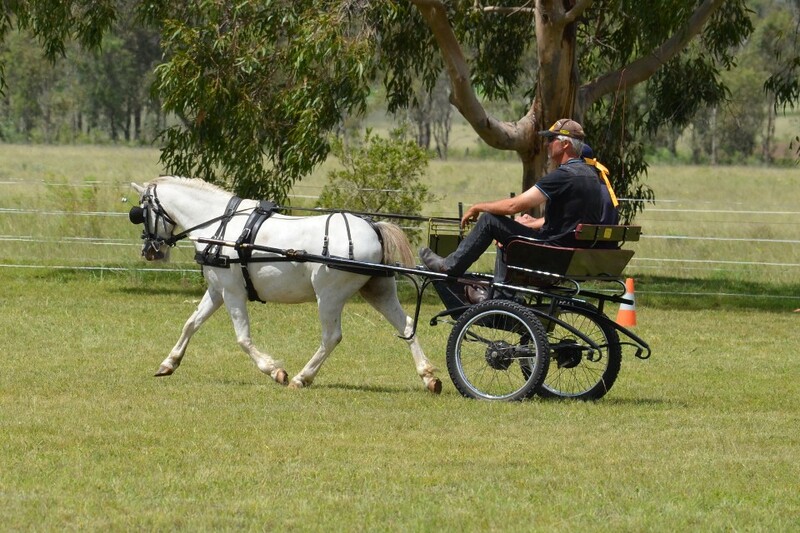 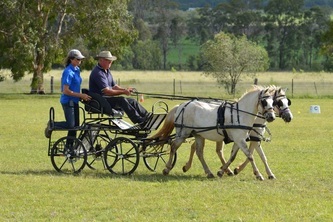 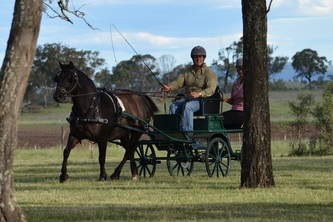 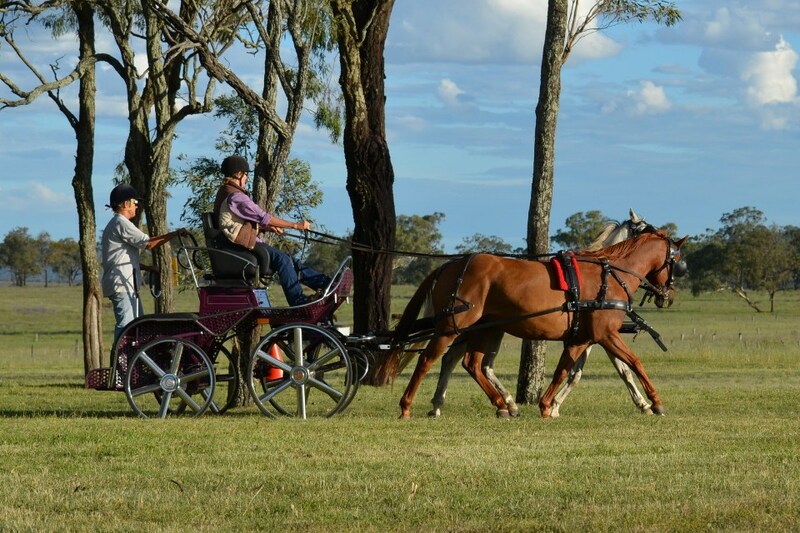 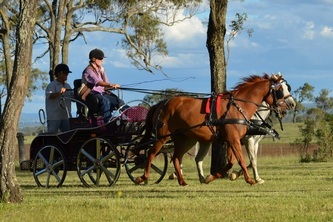 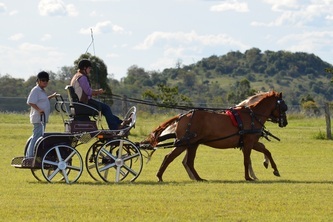 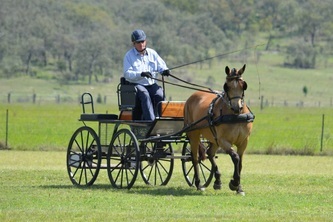 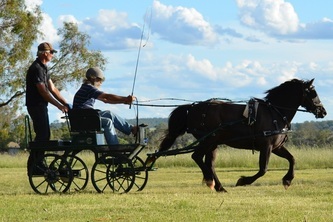 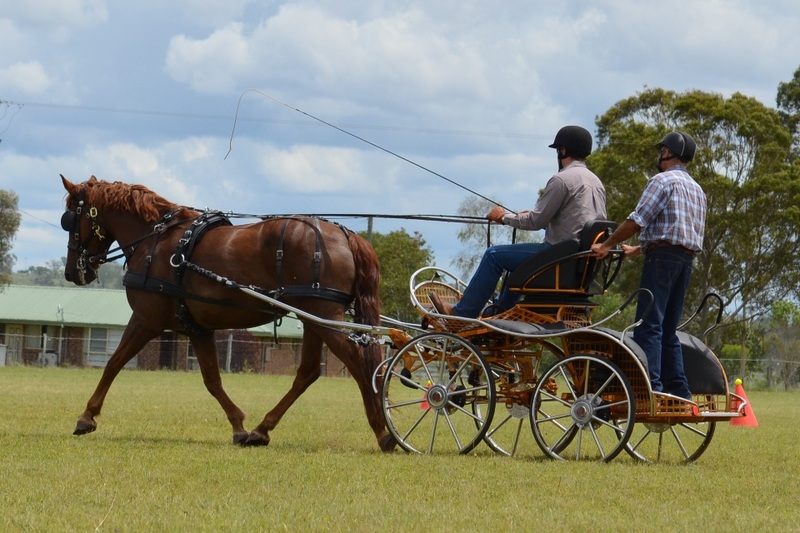 If you have a similar addiction don’t miss the next Warwick & District Carriage Driving Club weekend at the Dillmann’s.